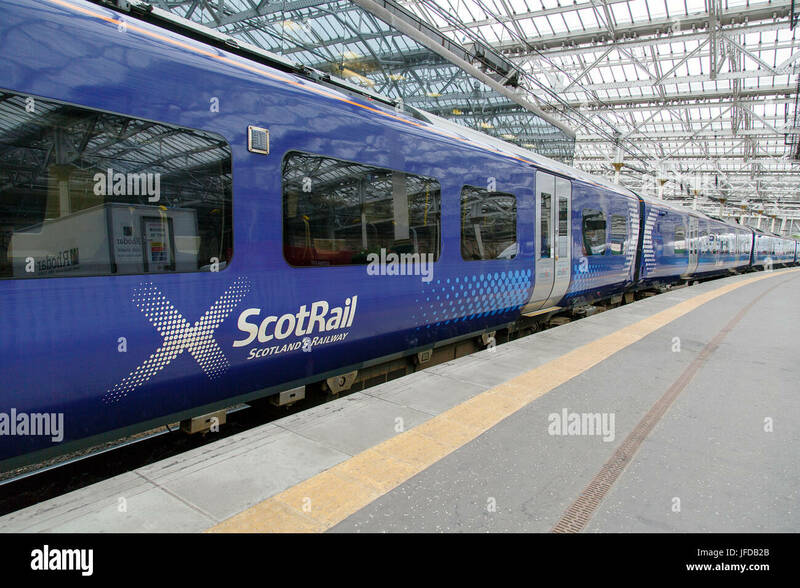 Seats on a Scotrail train with their logo. 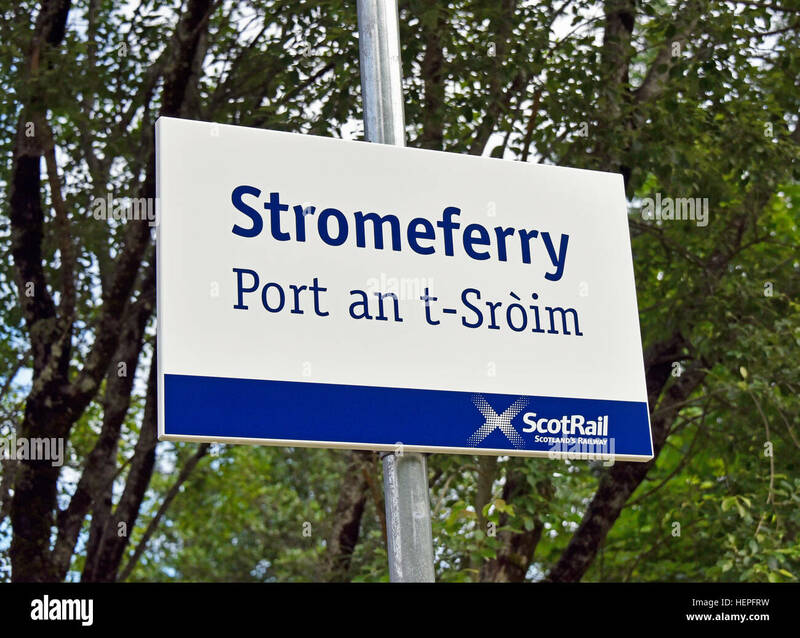 Stromeferry, Port an t-Sroim, Scotrail station sign. 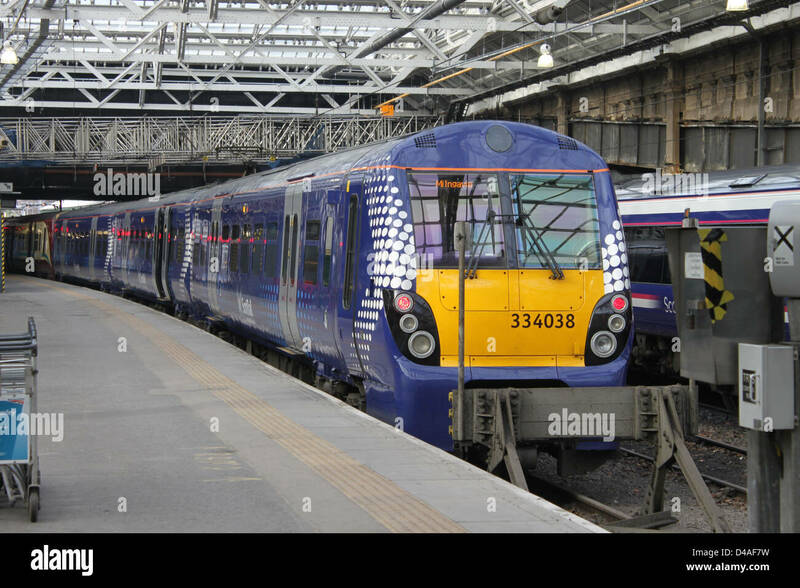 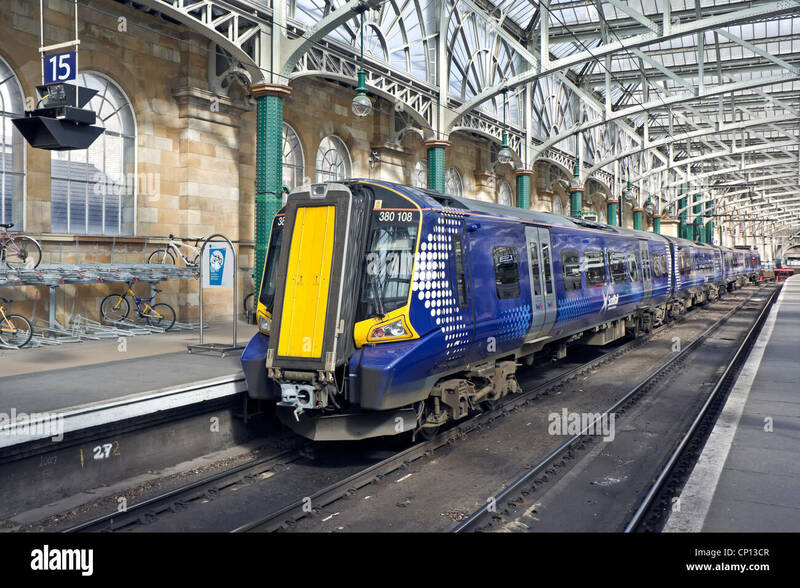 Class 334 Scotrail electric multiple unit (EMU) at a platform in Edinburgh Waverley station with a service to Milngavie. 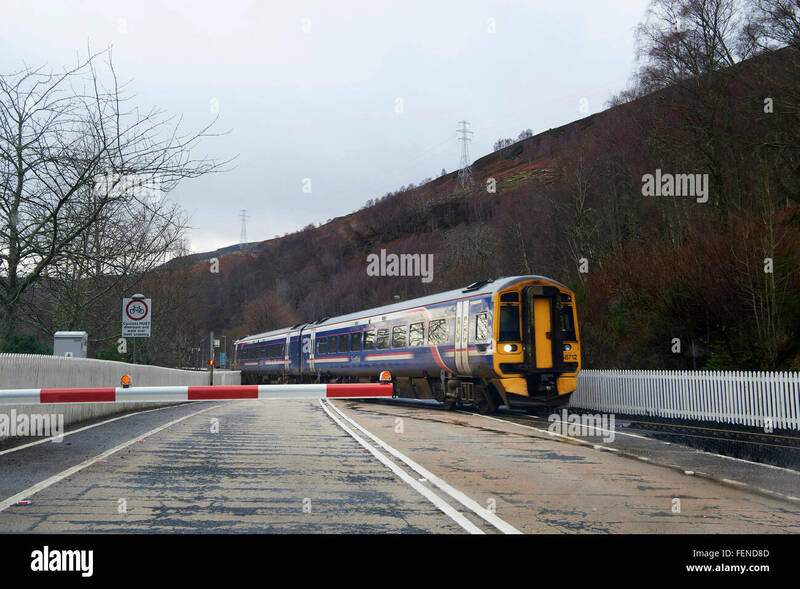 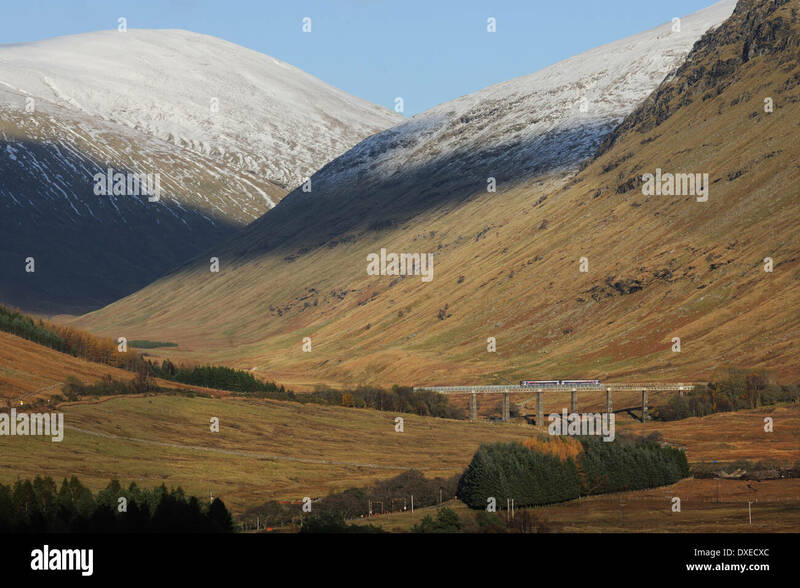 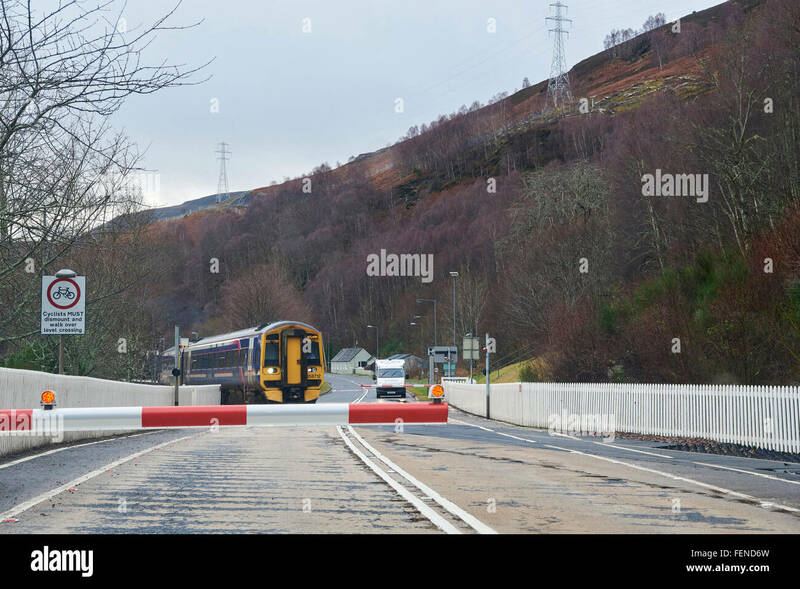 First Scotrail 156 Sprinter train crossing the Horseshoe viaduct Glen Auch nr Tyndrum, West Highland Line. 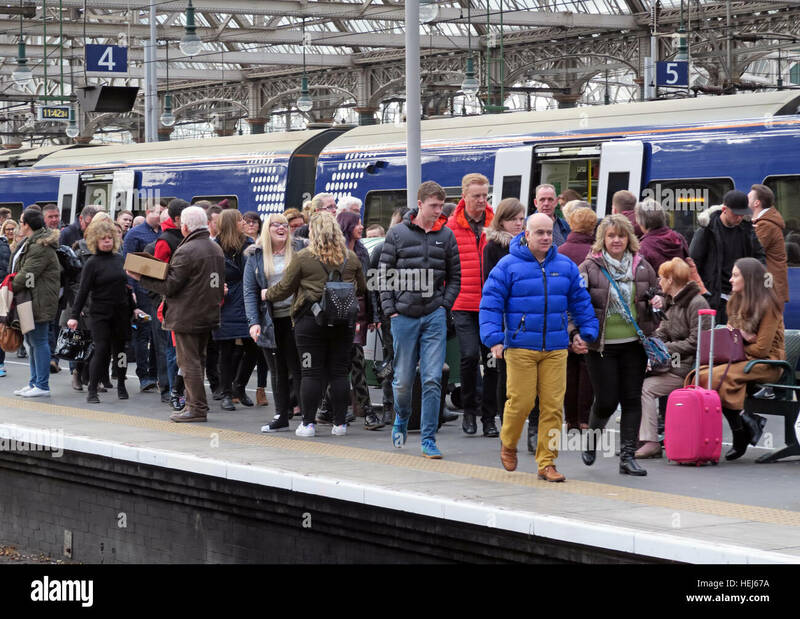 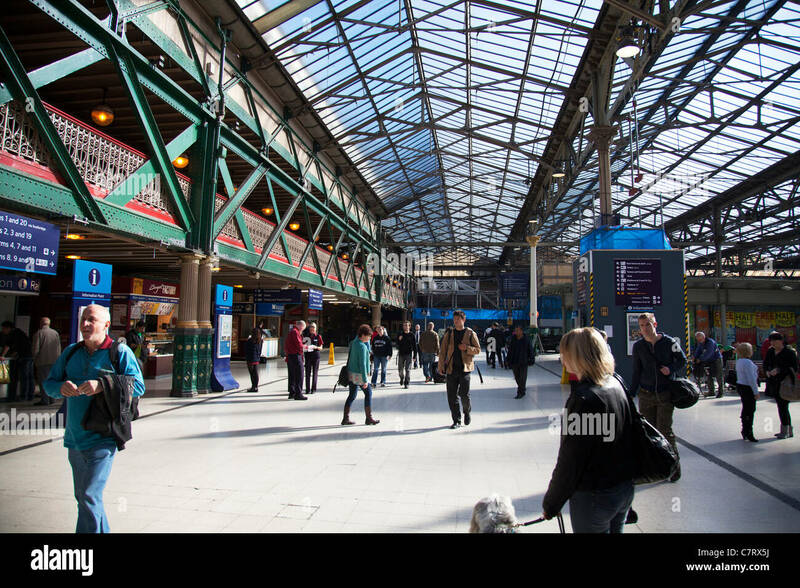 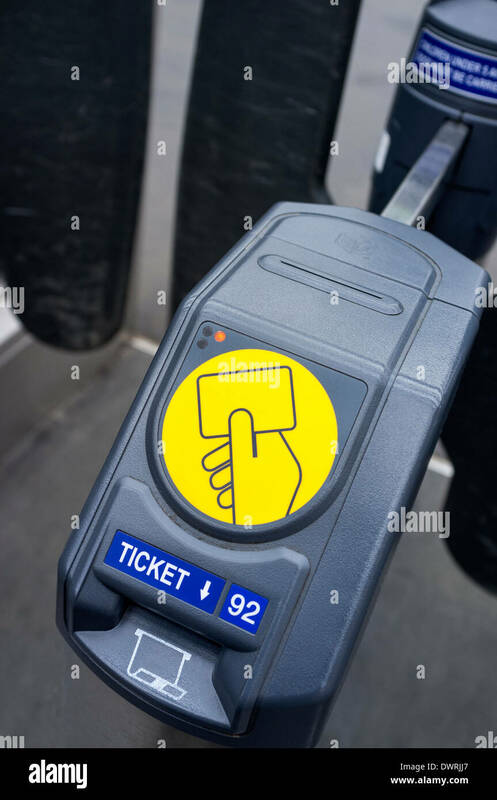 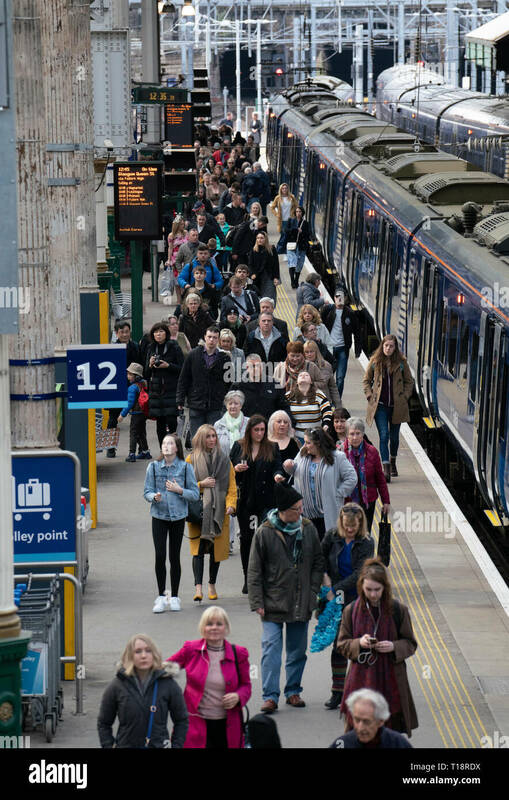 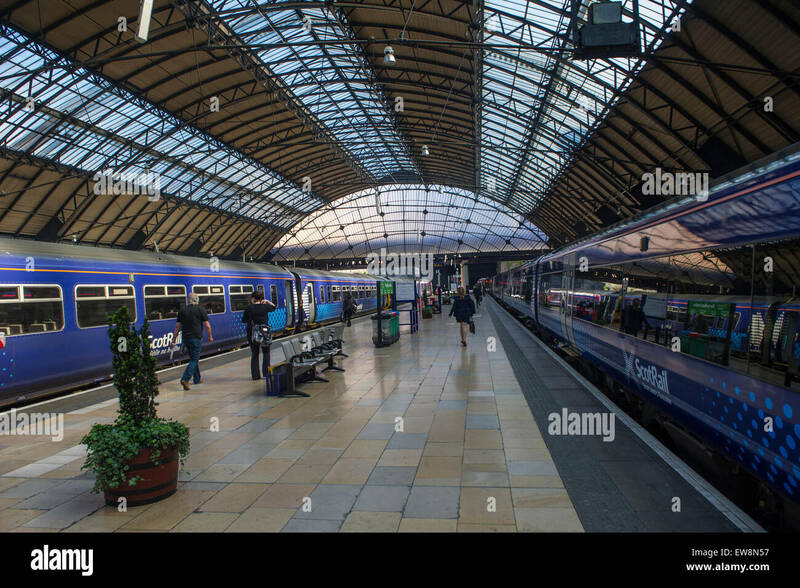 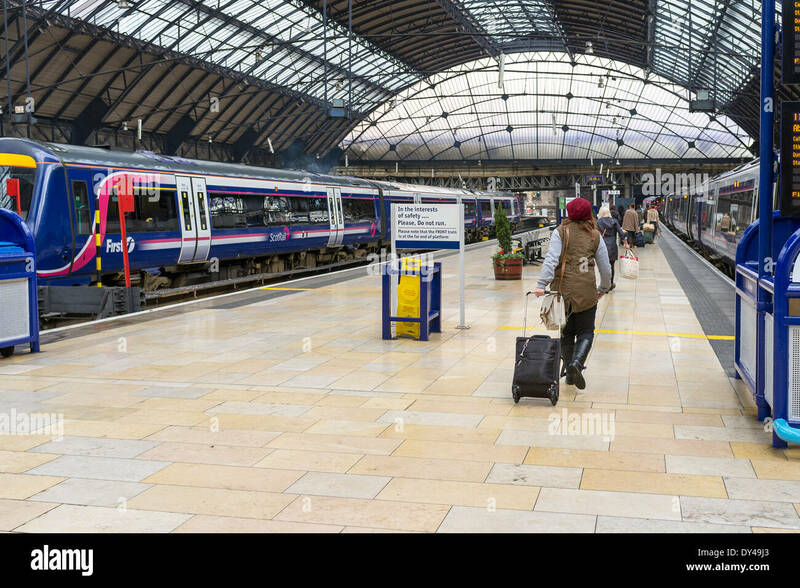 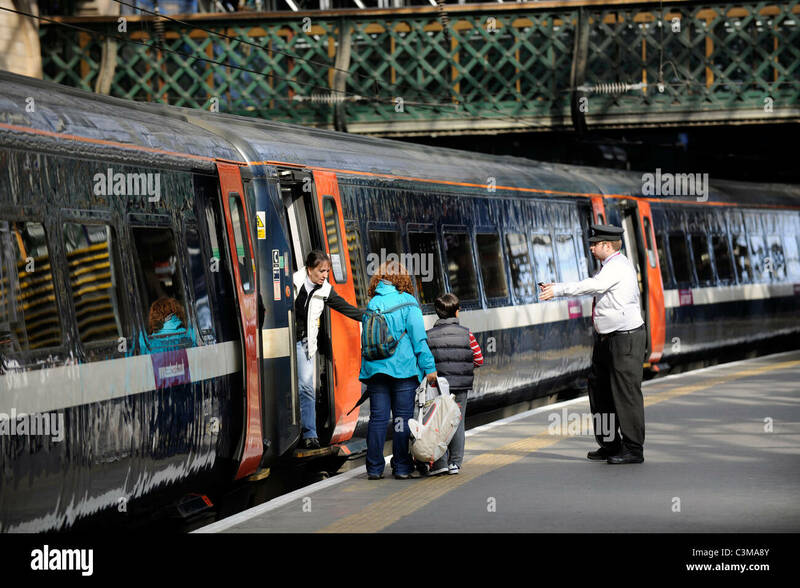 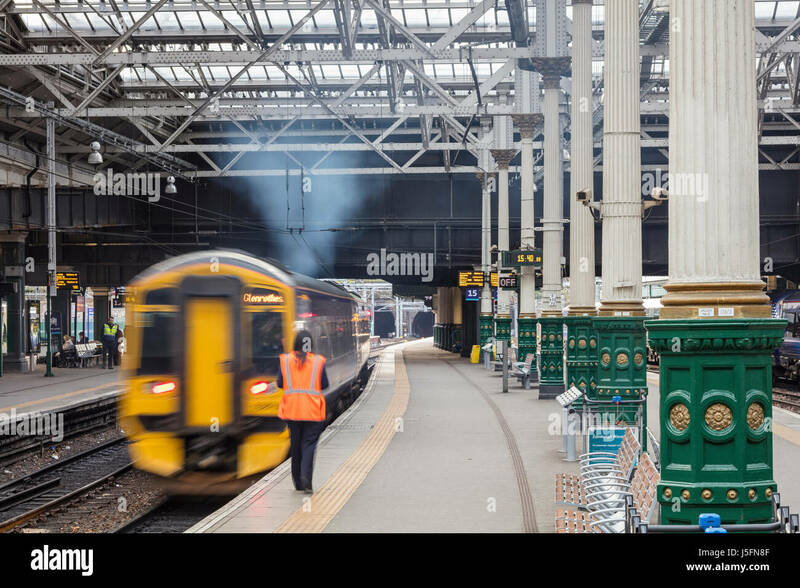 Boarding a train at, Edinburgh Waverly Station, Edinburgh, Scotland. 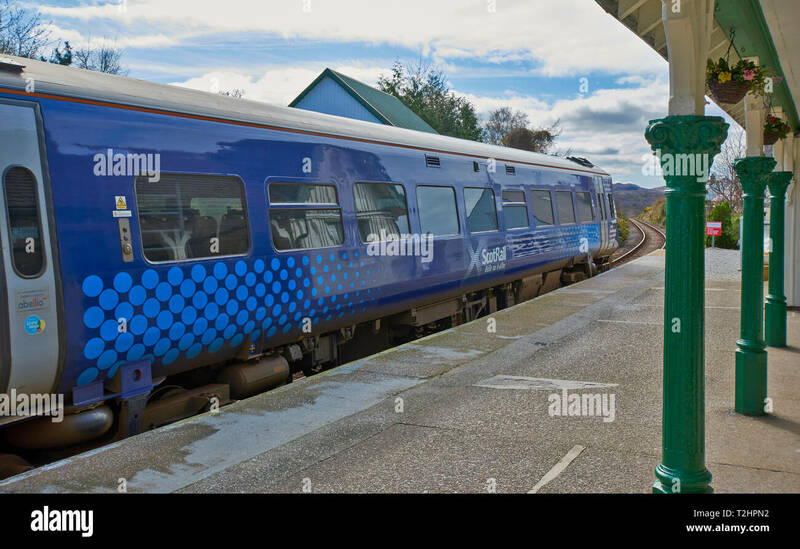 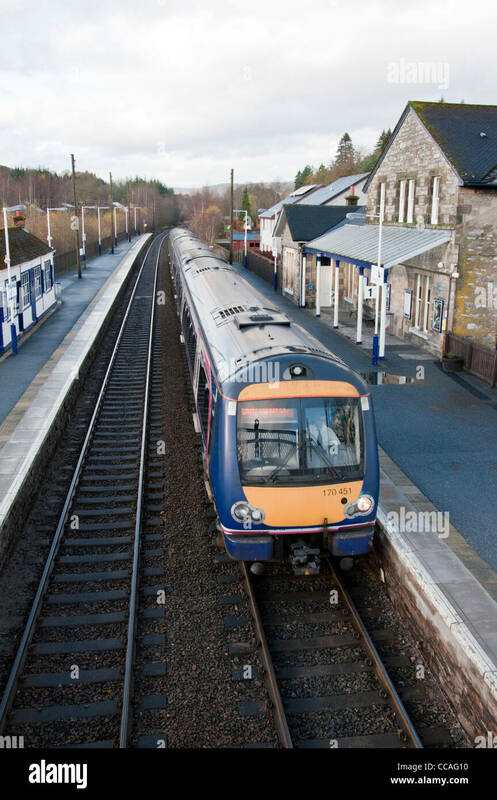 First ScotRail train 170451 (Class 170) arriving in Blair Atholl Station. 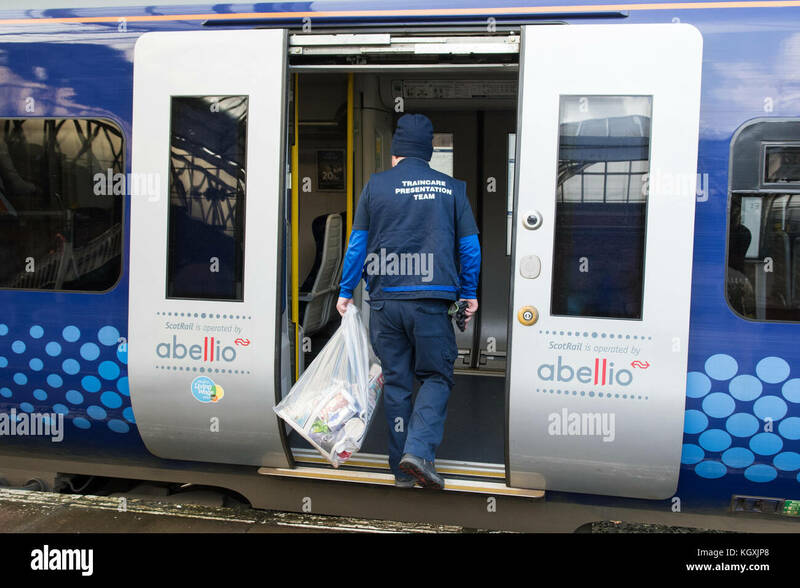 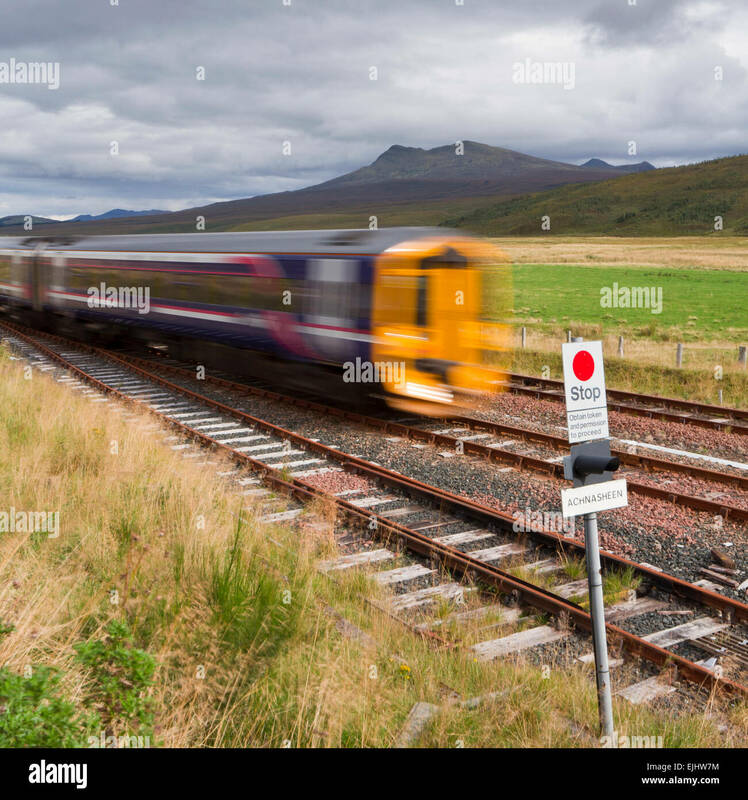 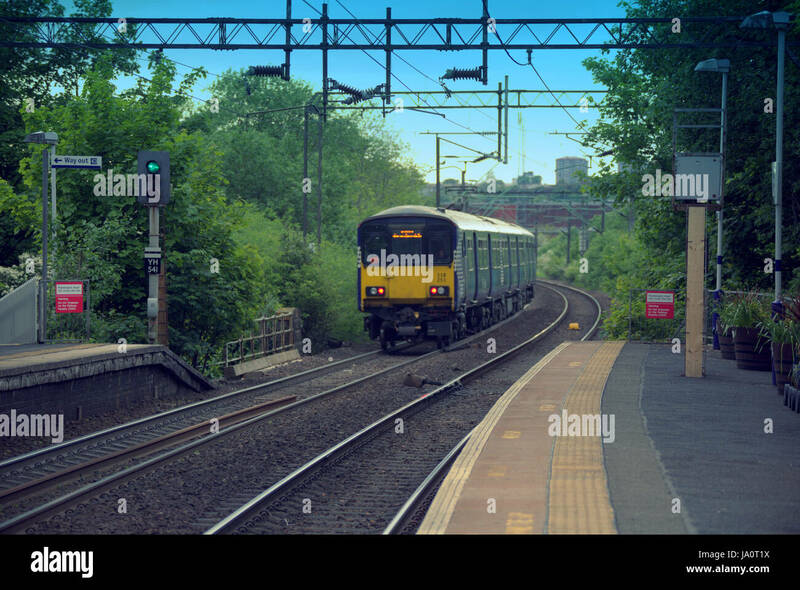 Man leaving train in Clarkston near Glasgow. 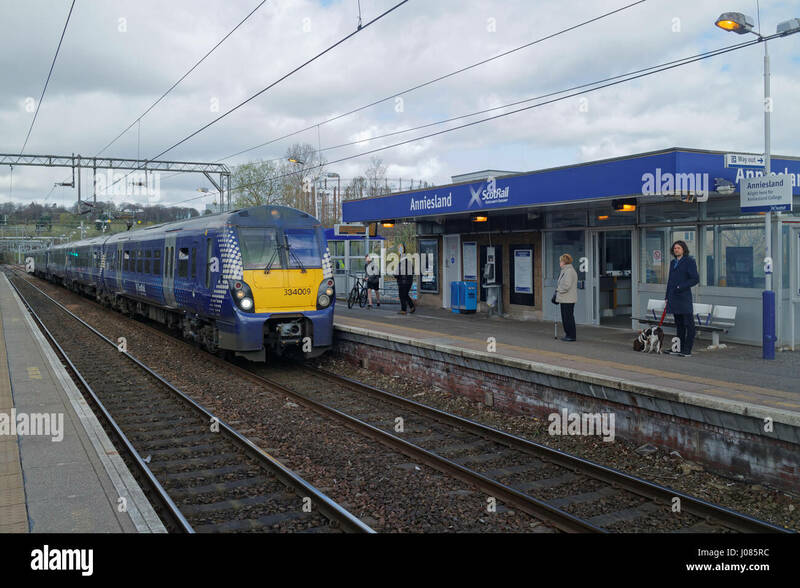 A Class 380 electric train pulls into Fort Matilda train station. 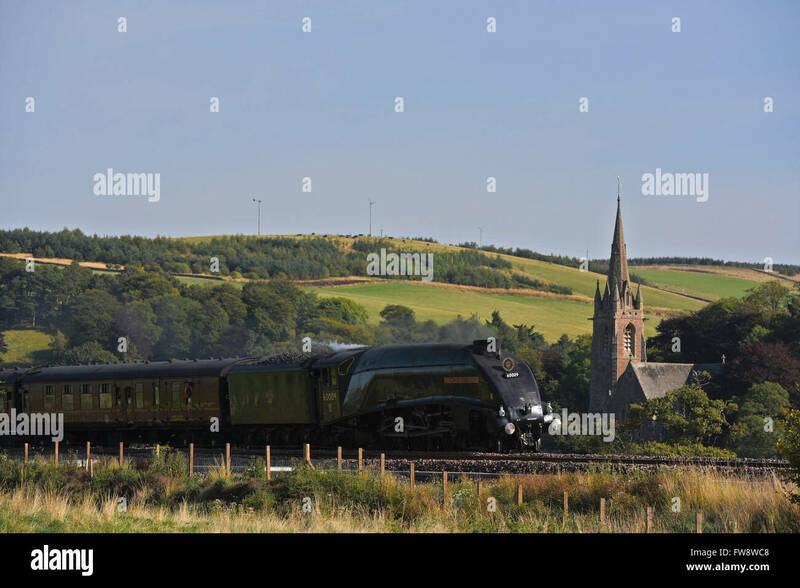 The Union of South Africa steam train passing through Stow in the Scottish Borders. 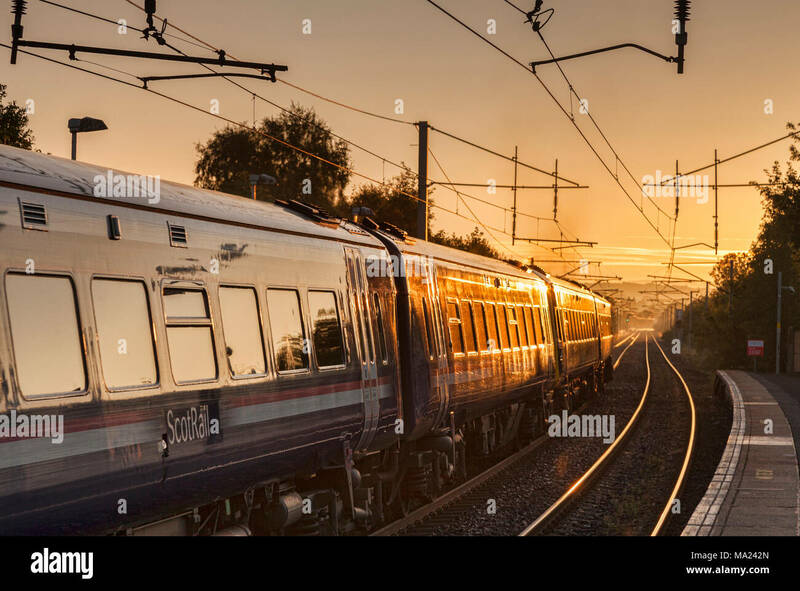 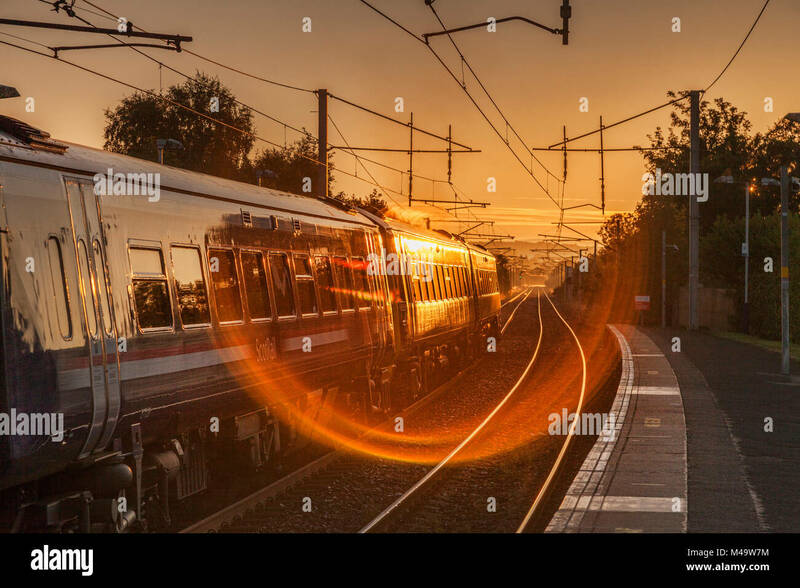 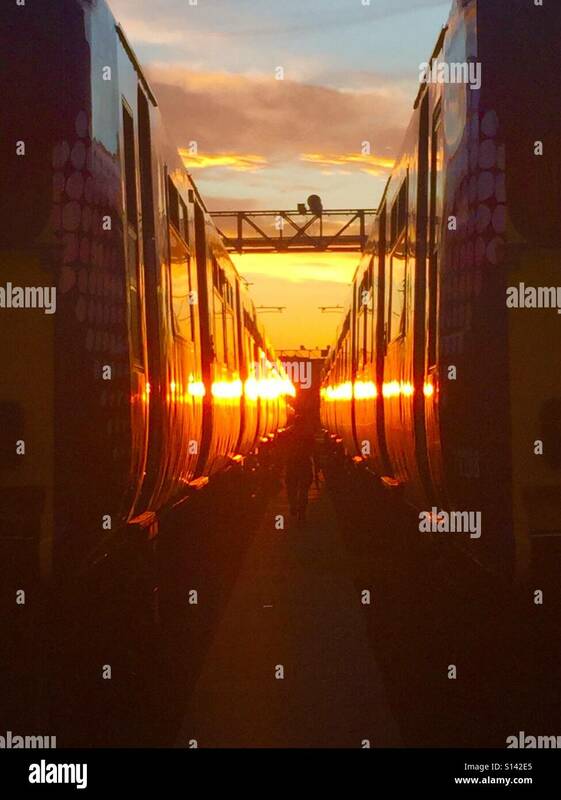 Two ScotRail Class 318 trains stabled in depot at sunset. 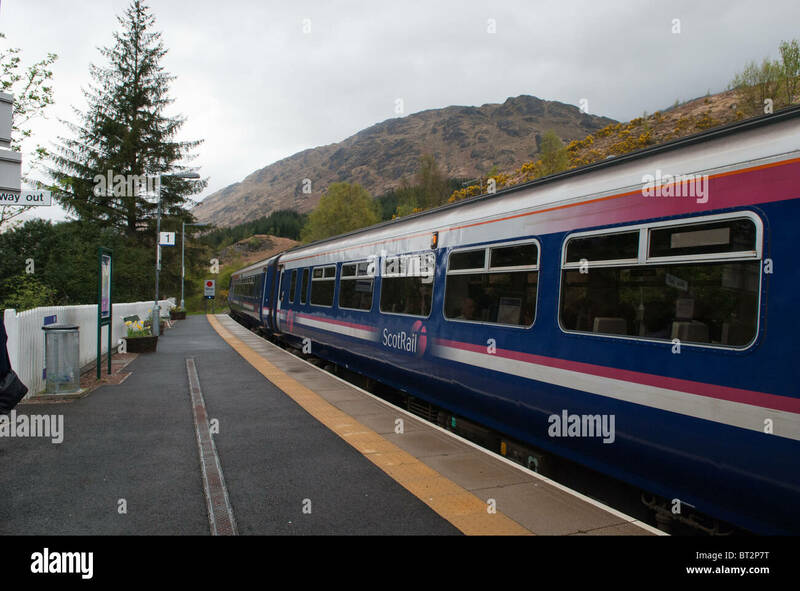 Scotrail Class 156 DMU leaving Glenfinnan Station Highland Scotland destined for Mallaig with signal left. 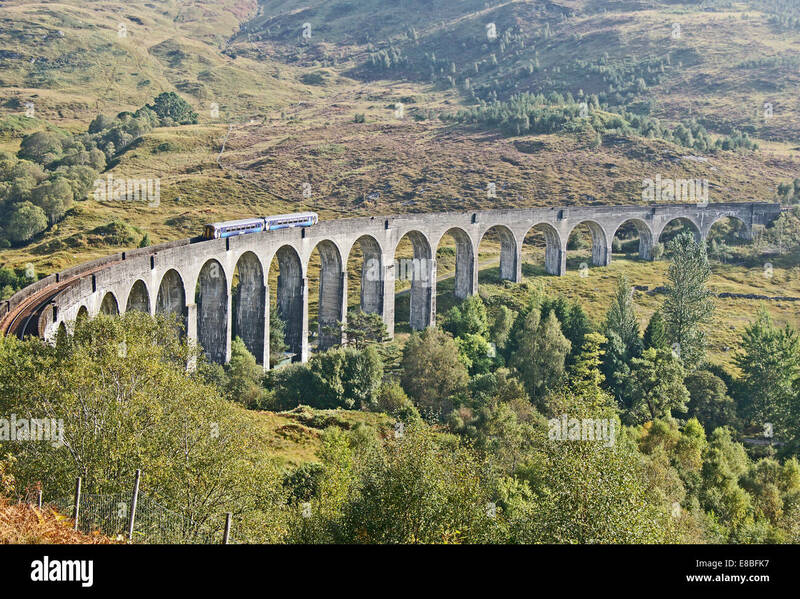 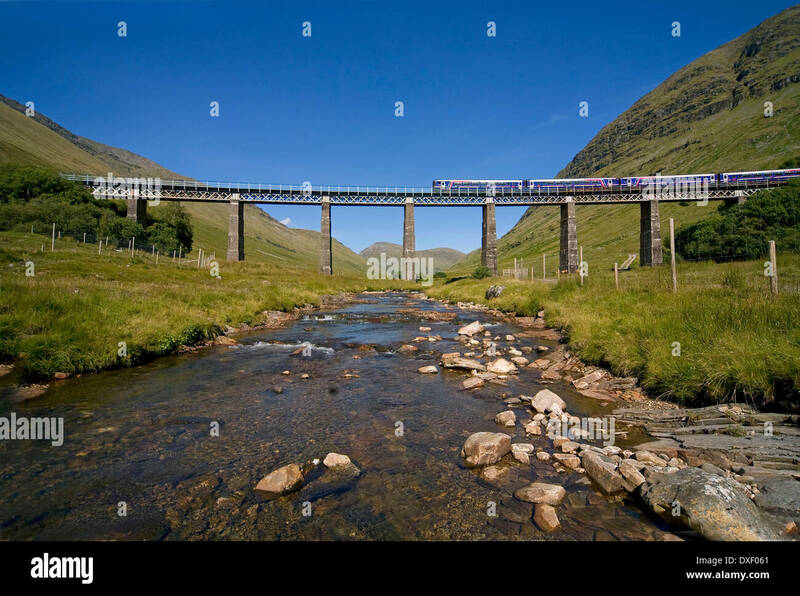 First Scotrail 156 Sprinter, Auch Viaduct, Nr Tyndrum. 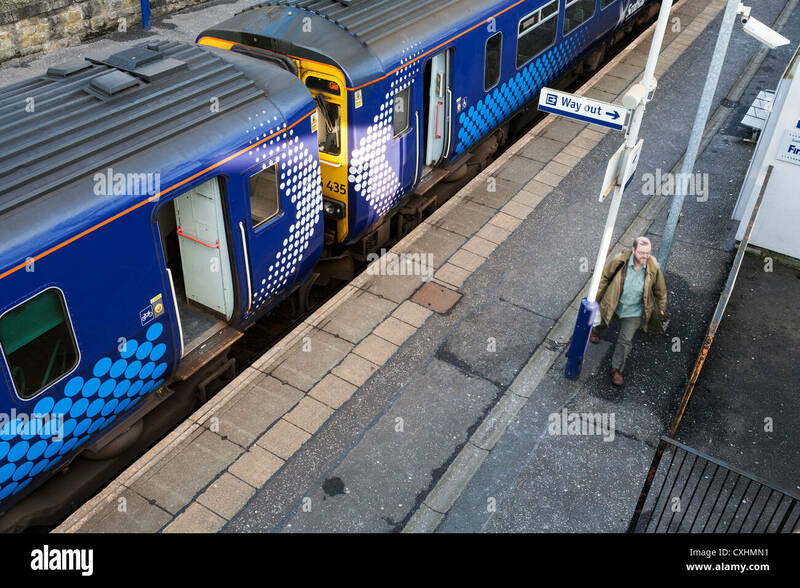 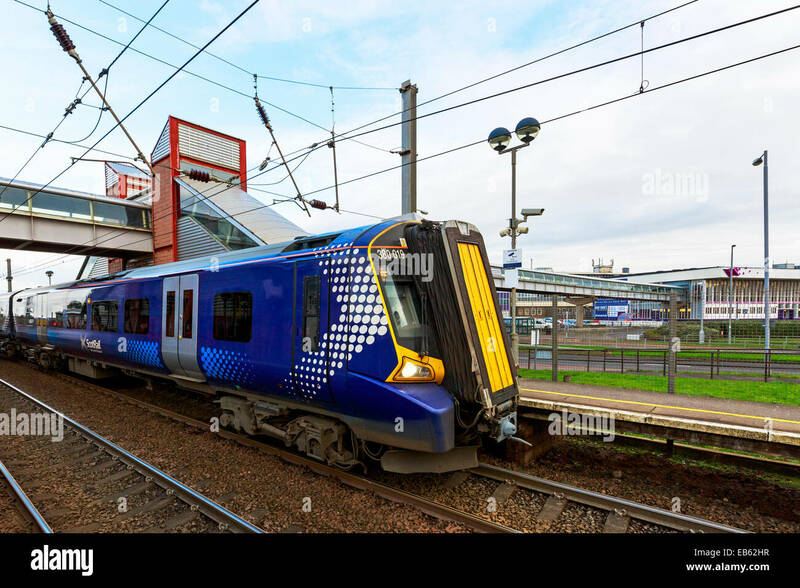 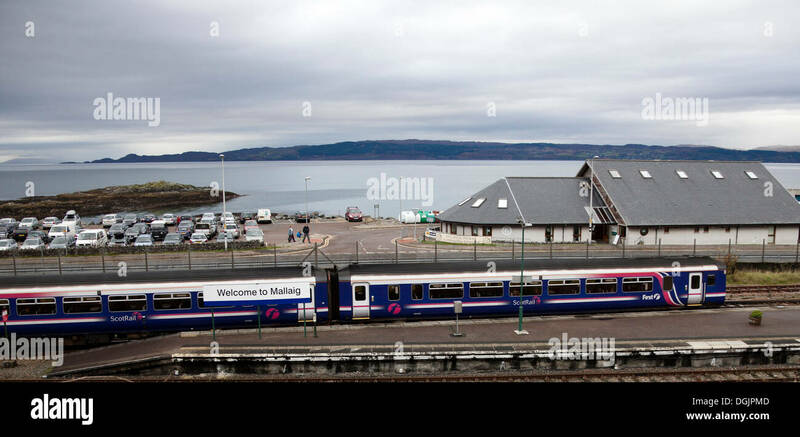 ScotRail train at station, early morning. 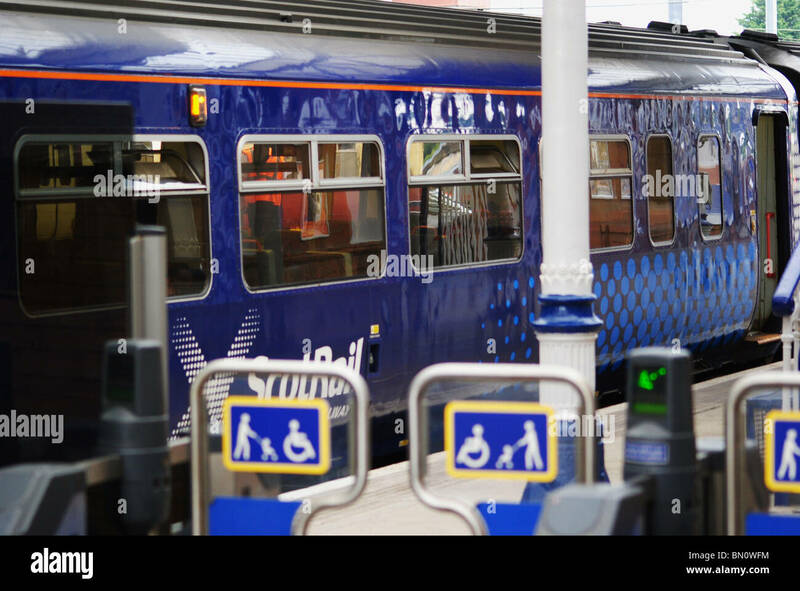 A Scotrail Class 170 Turbostar diesel train at Platform 12 in Edinburgh Waverley station. 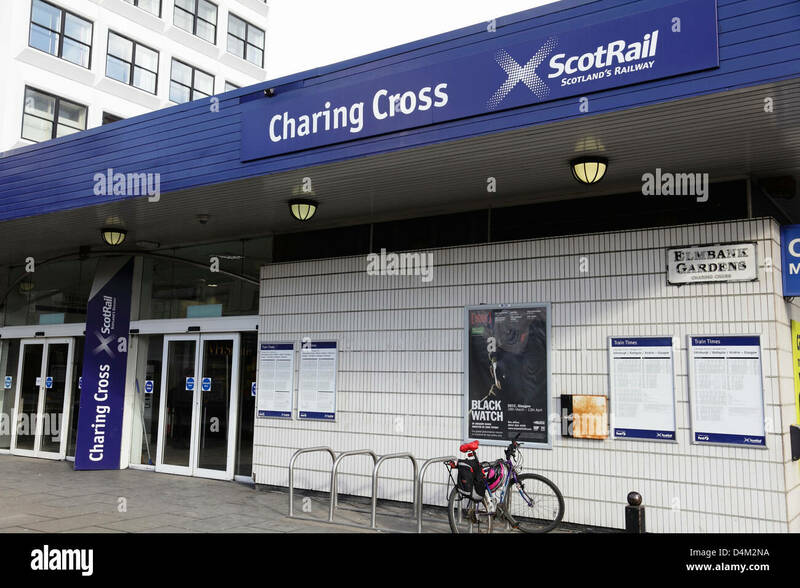 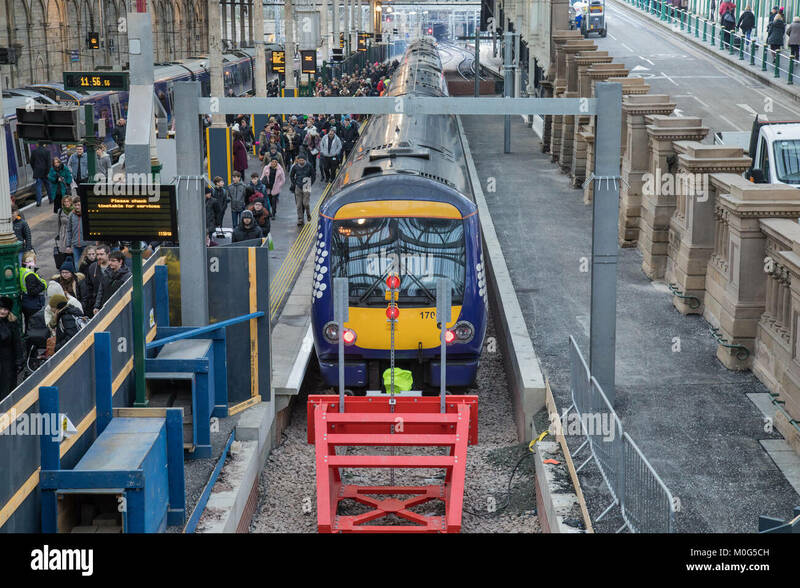 This platform opened in December 2017 to increase capacity. 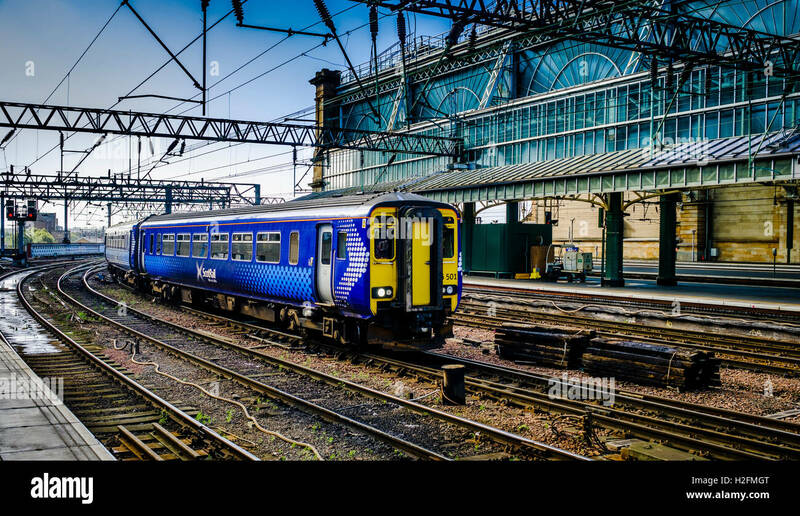 An East Coast train arrives at Edinburgh Waverley as a Scotrail train departs. 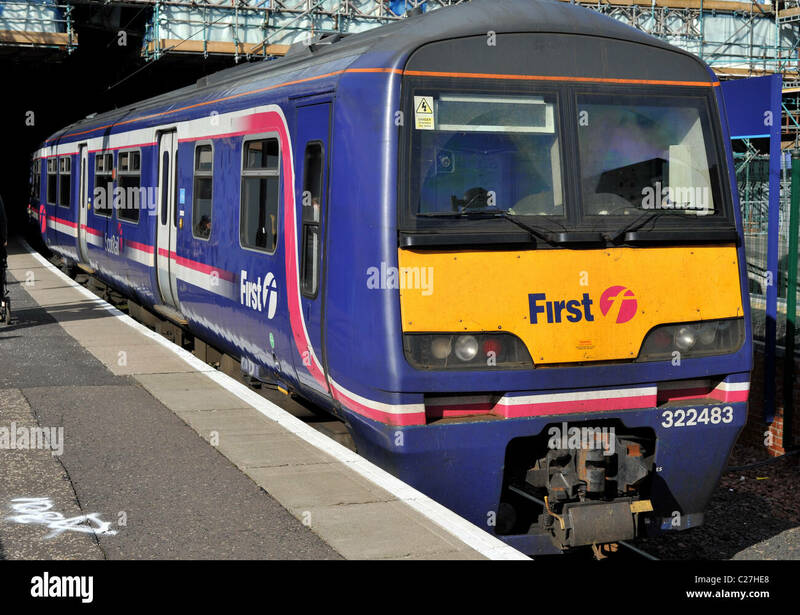 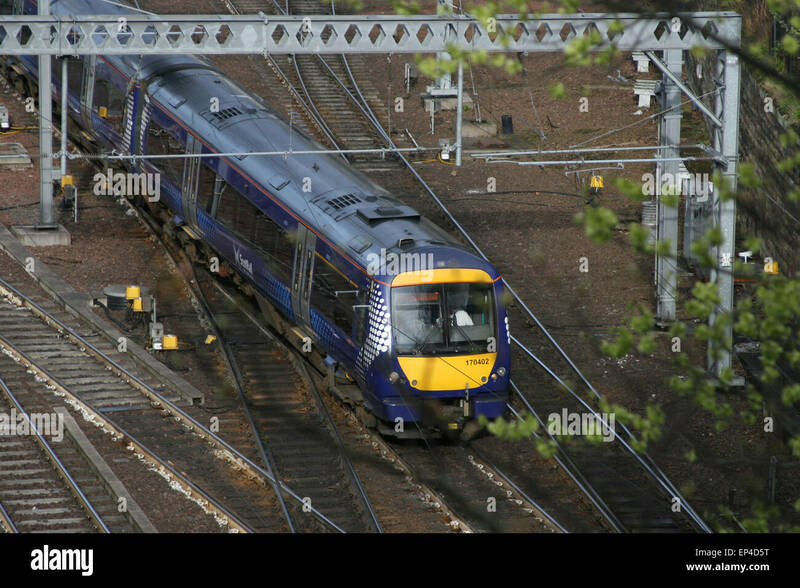 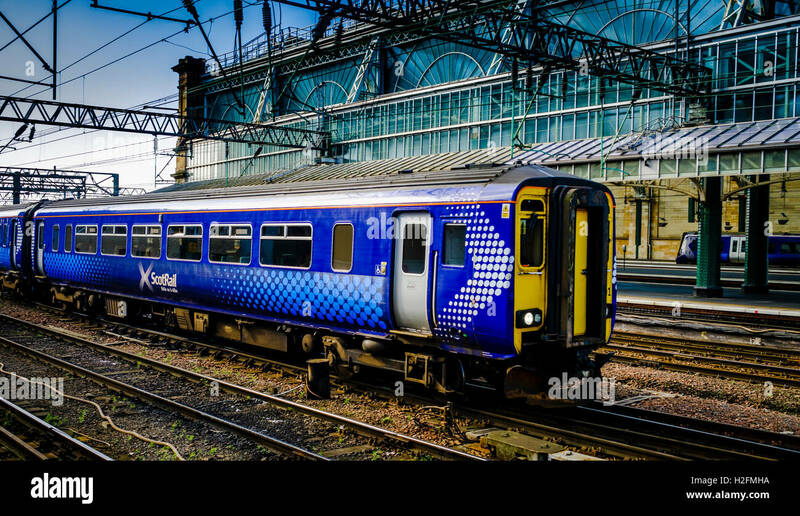 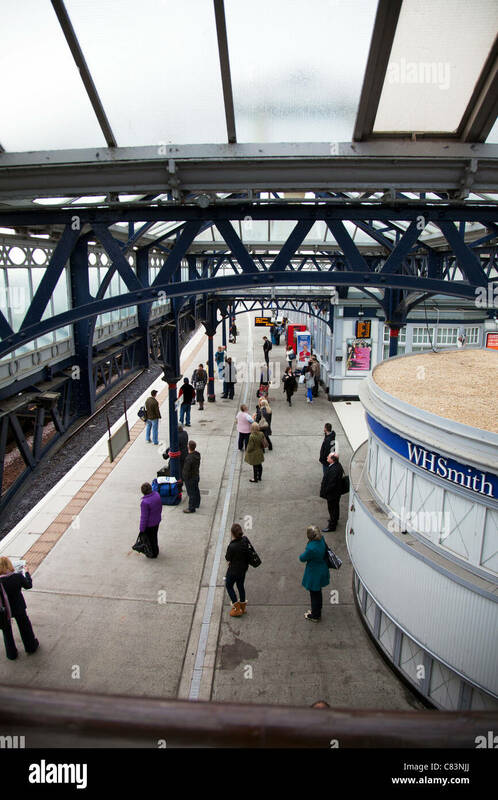 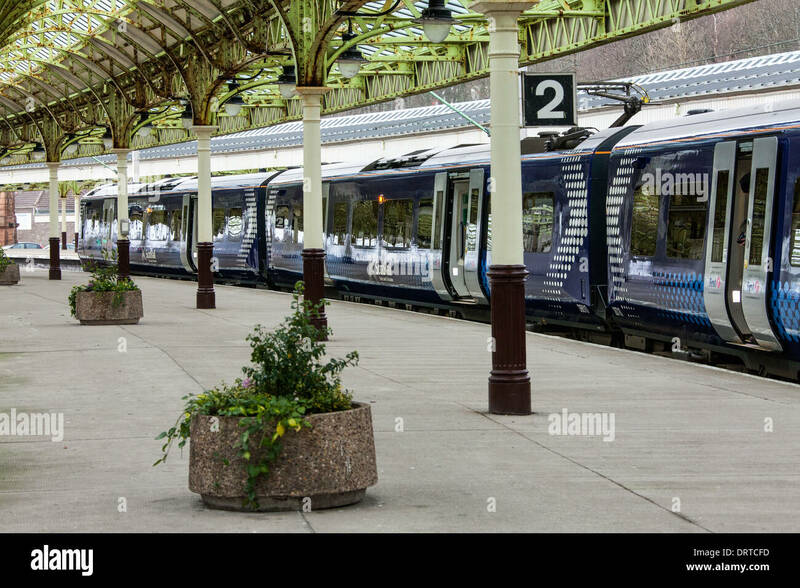 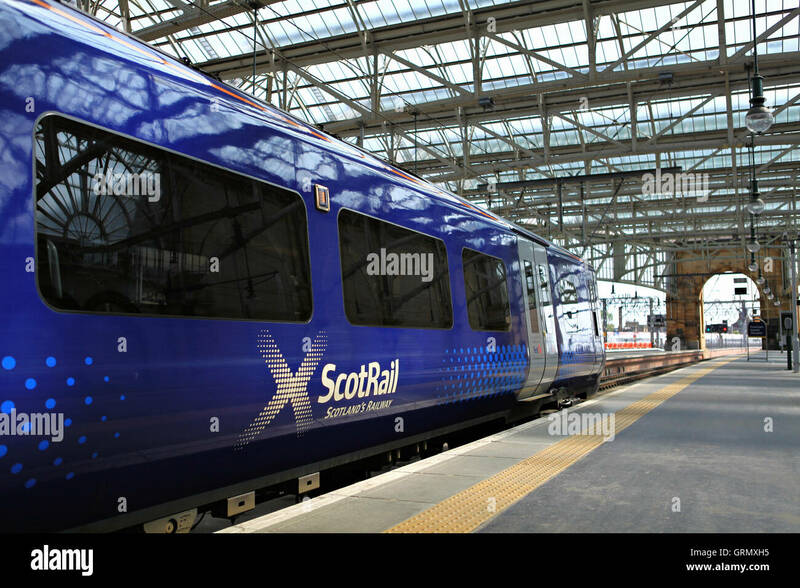 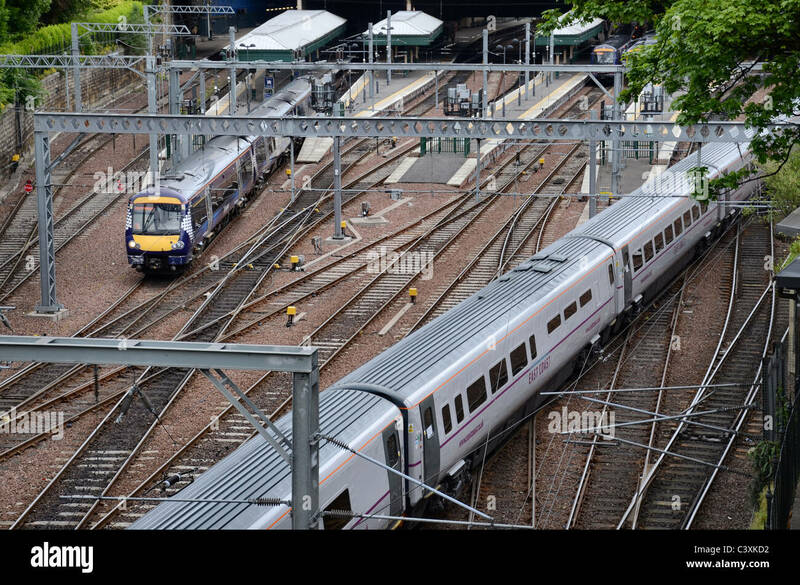 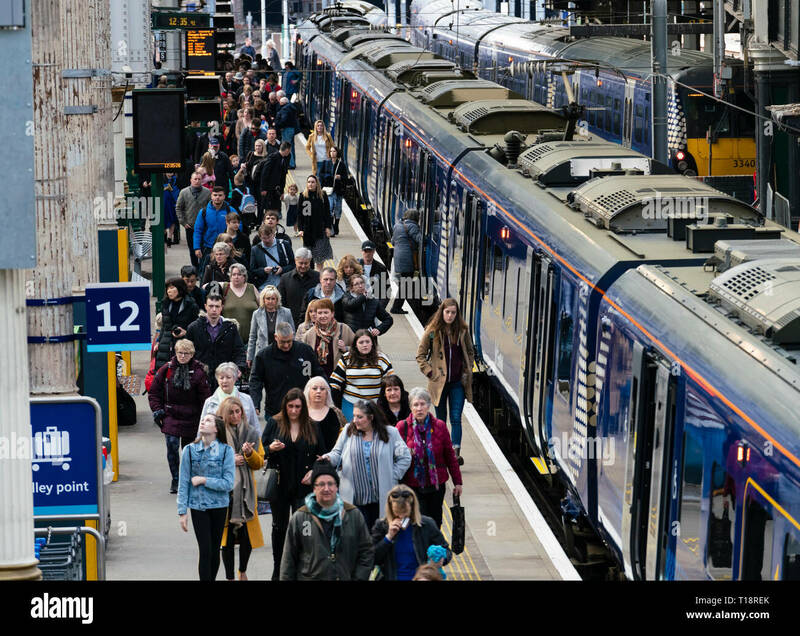 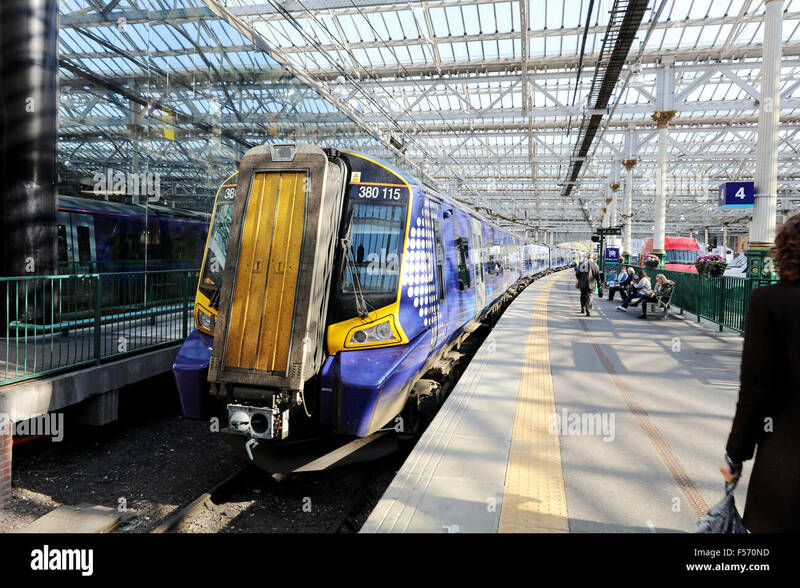 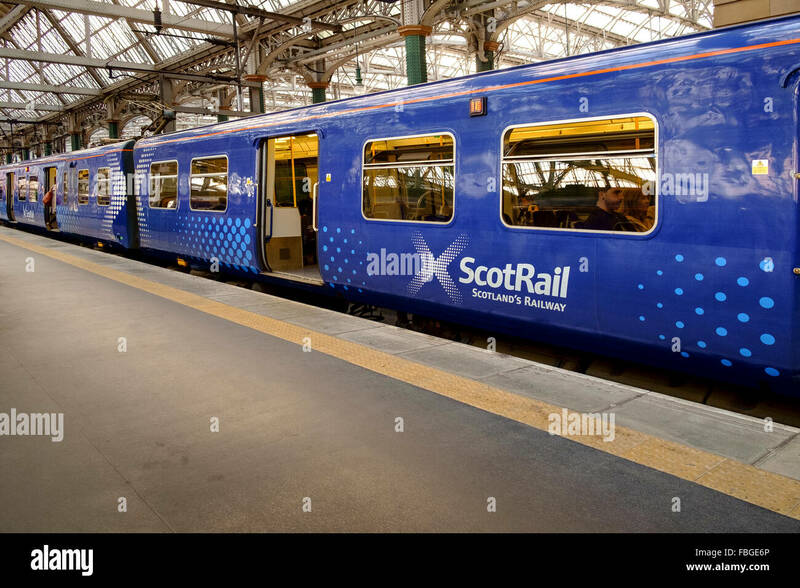 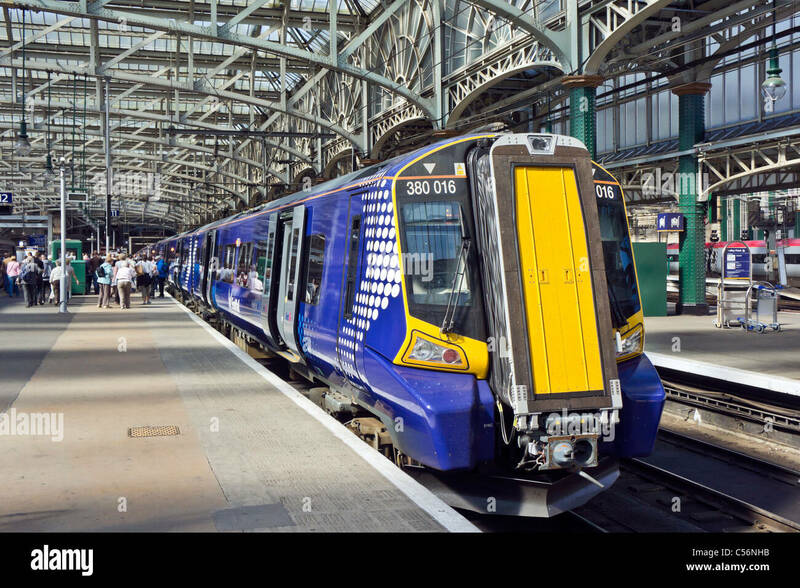 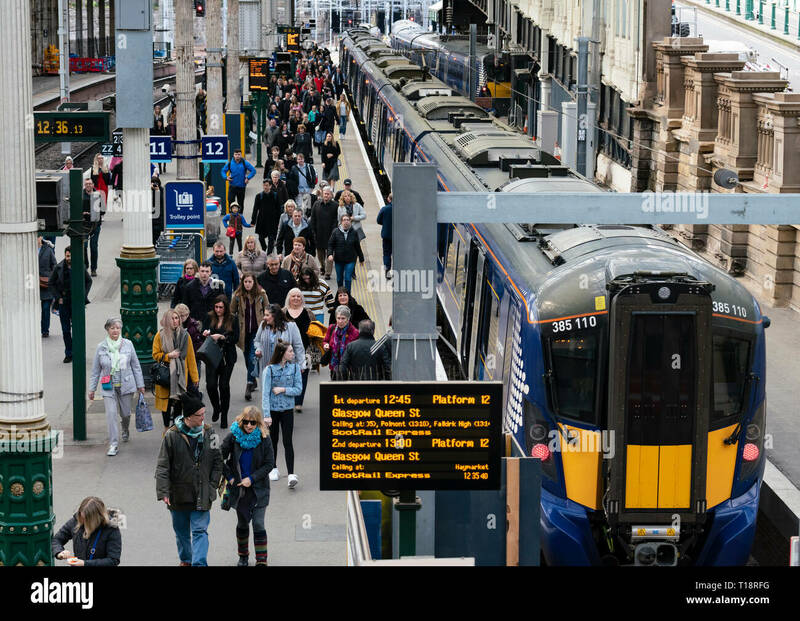 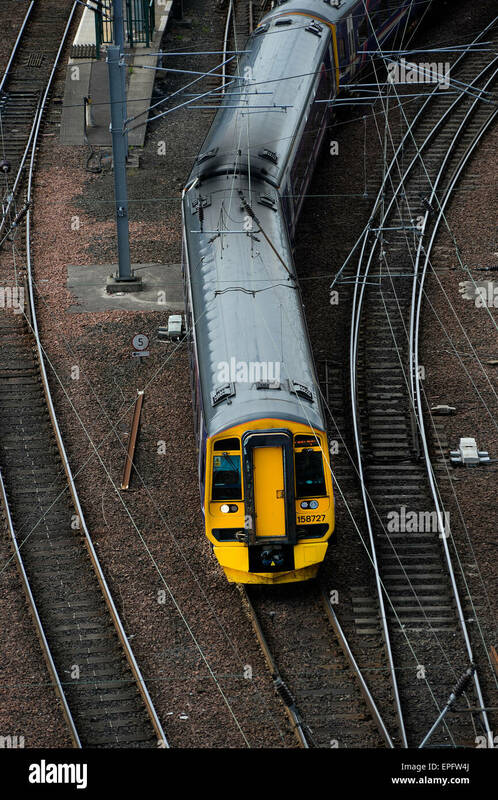 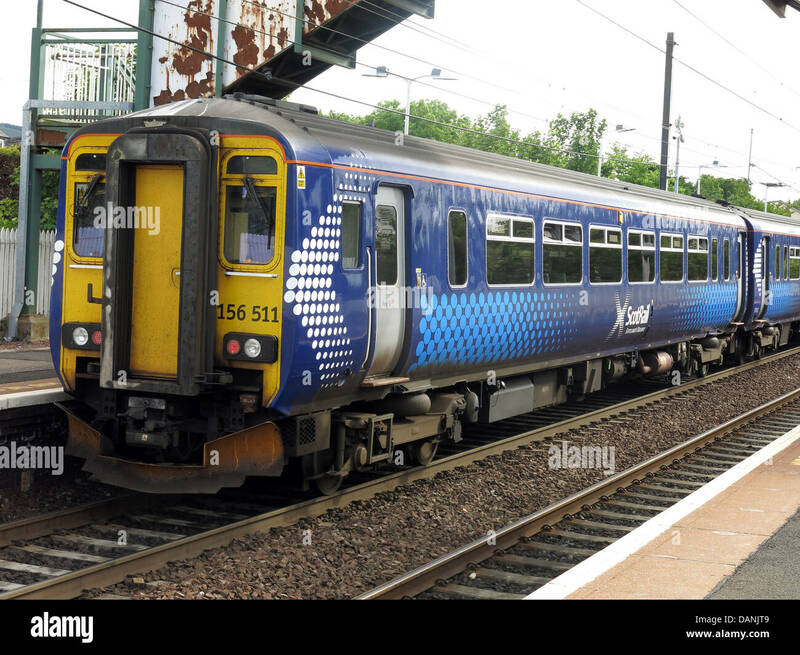 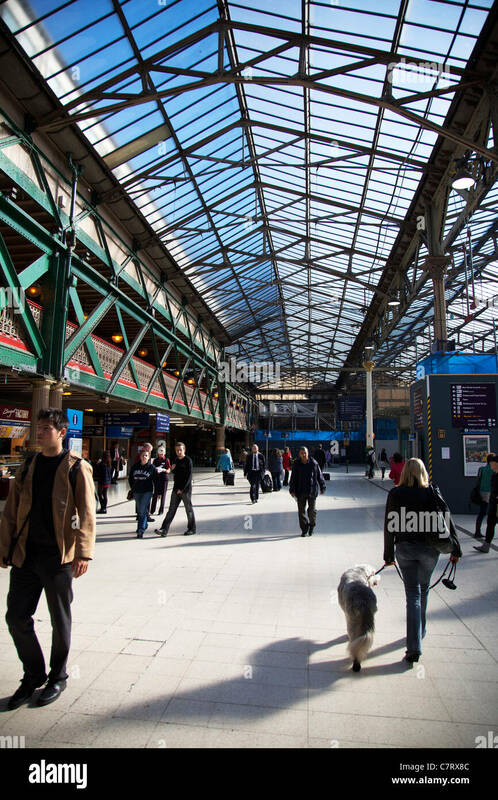 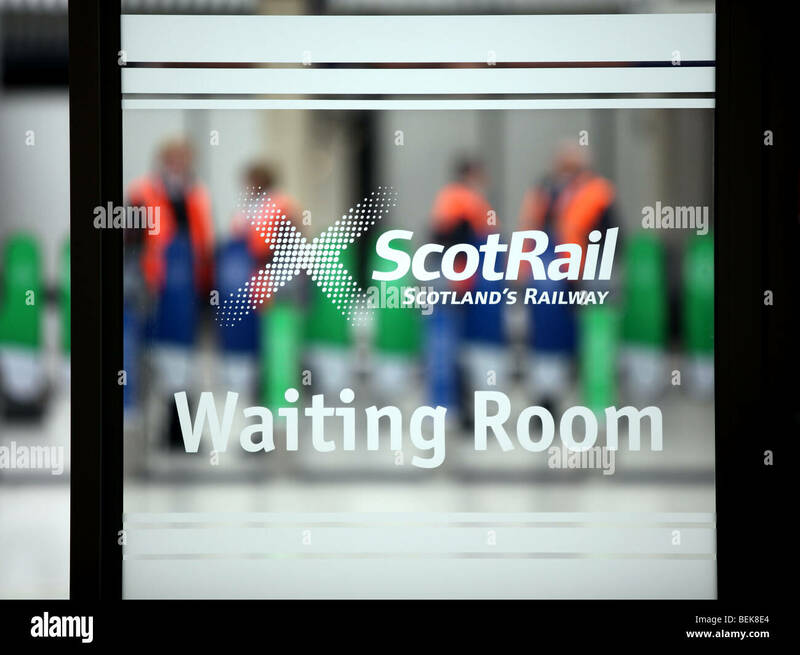 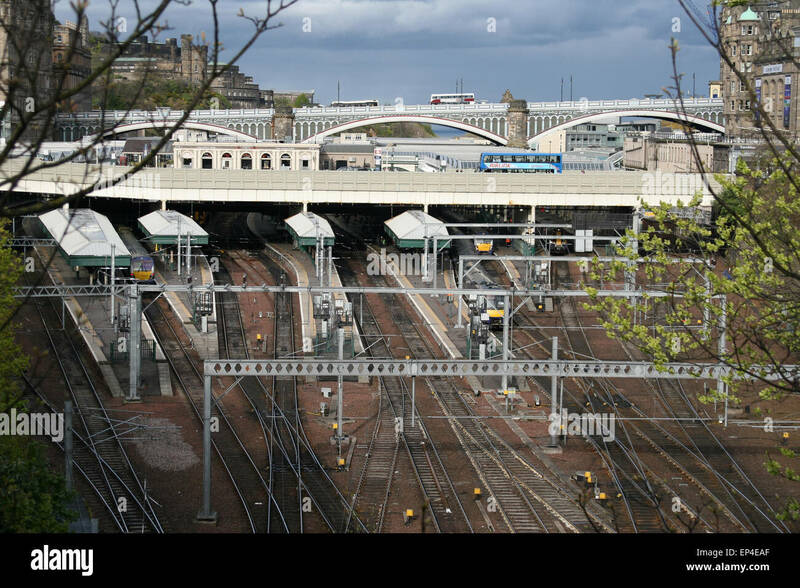 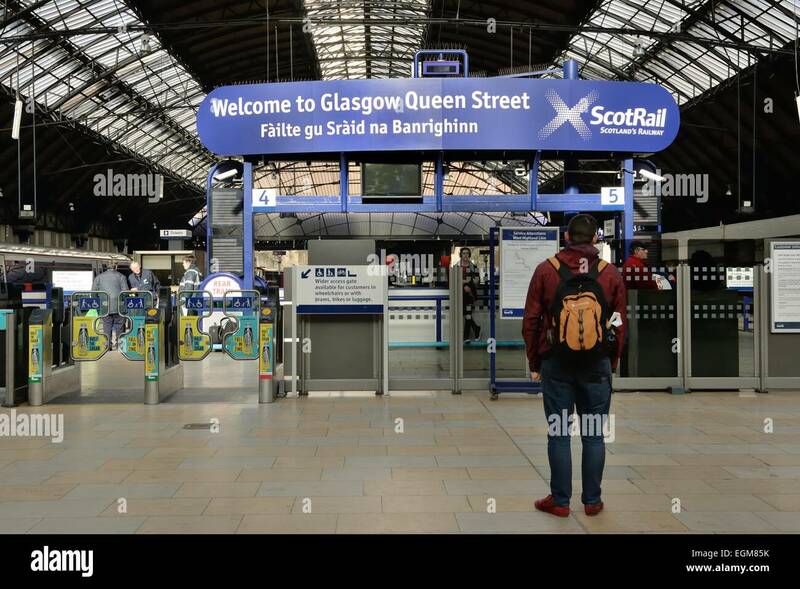 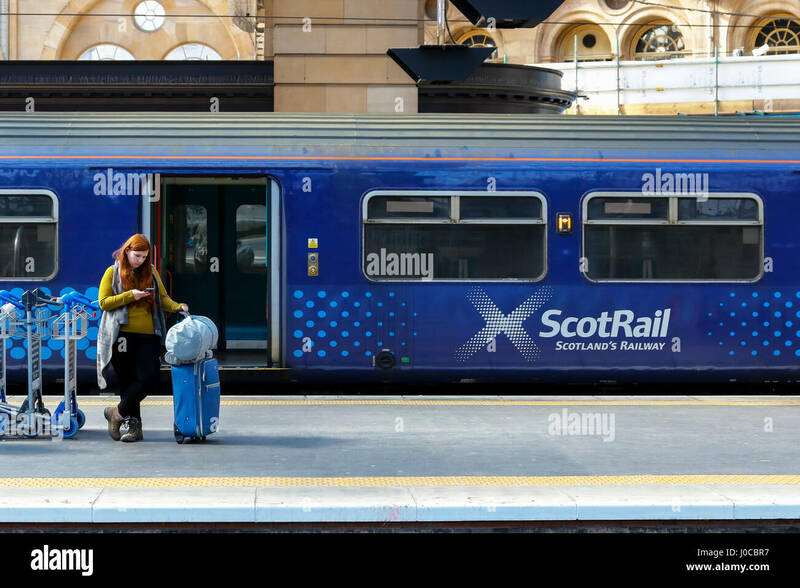 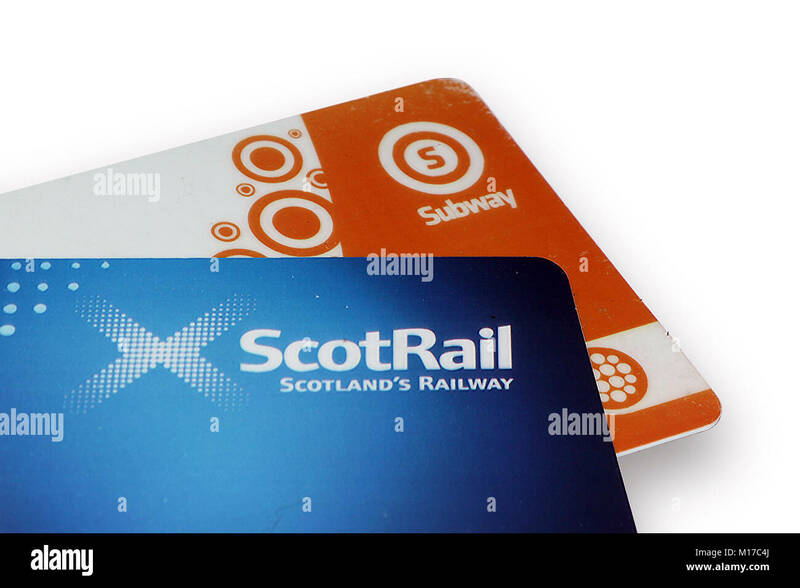 GLASGOW, SCOTLAND, UK - JULY 12, 2013: A ScotRail train at the platform at Queen Street station in Glasgow. 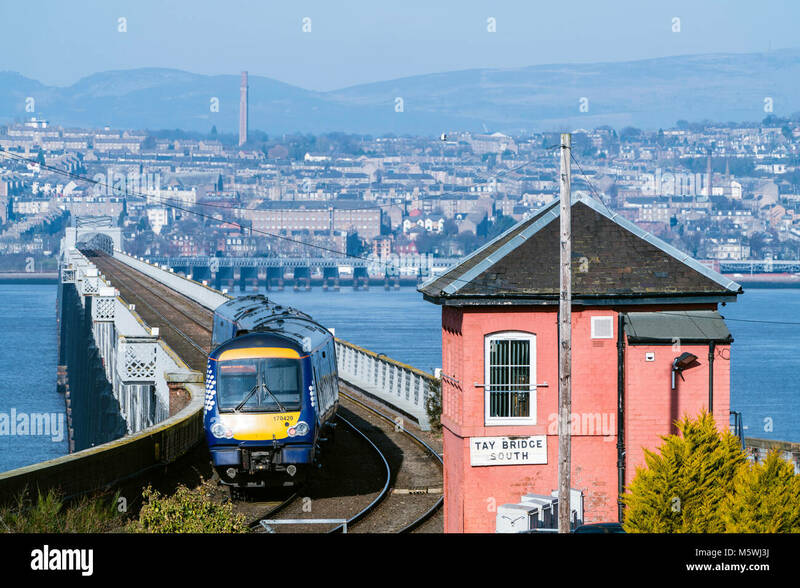 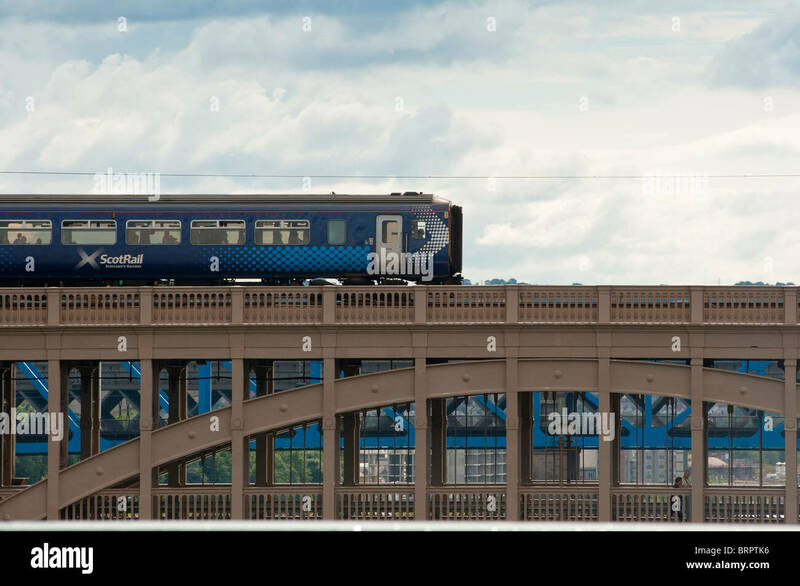 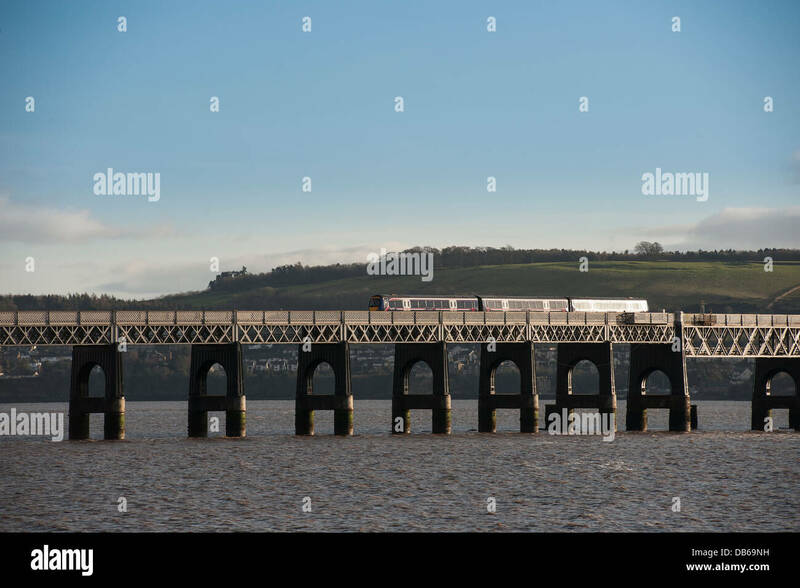 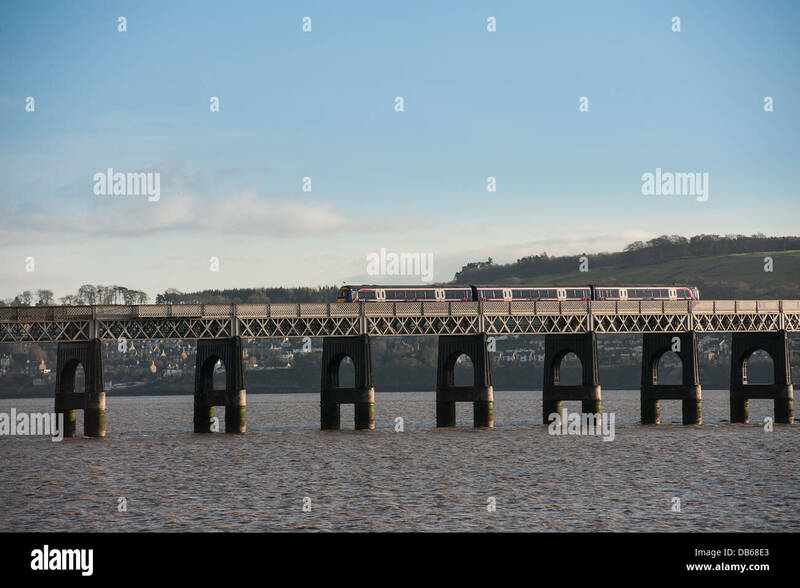 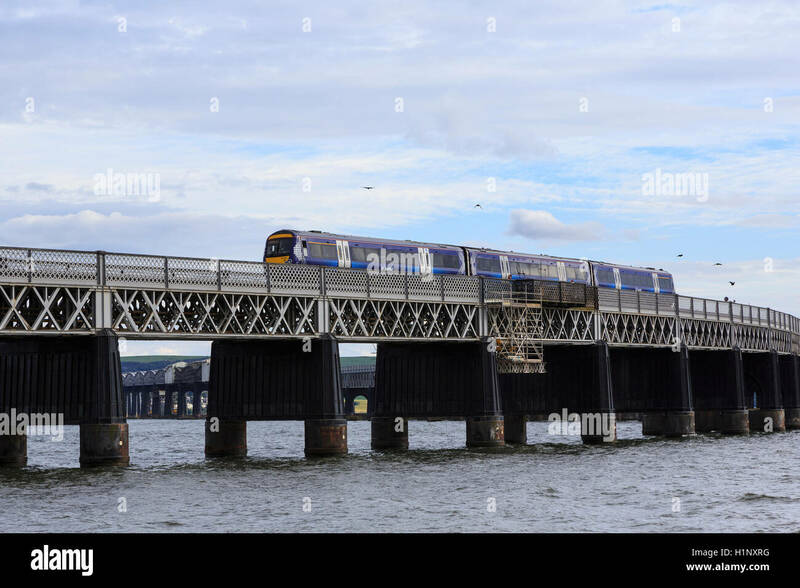 First Scotrail train crossing the Tay Rail Bridge spanning the Firth of Tay, Scotland. 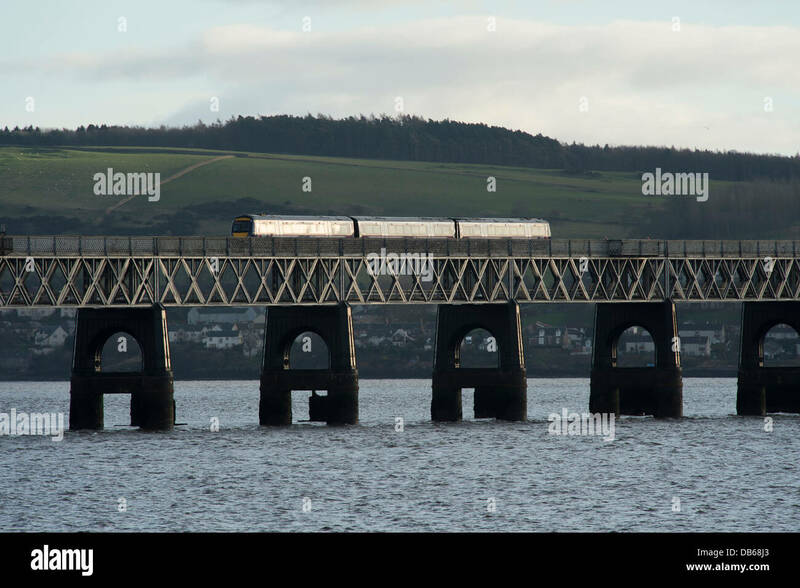 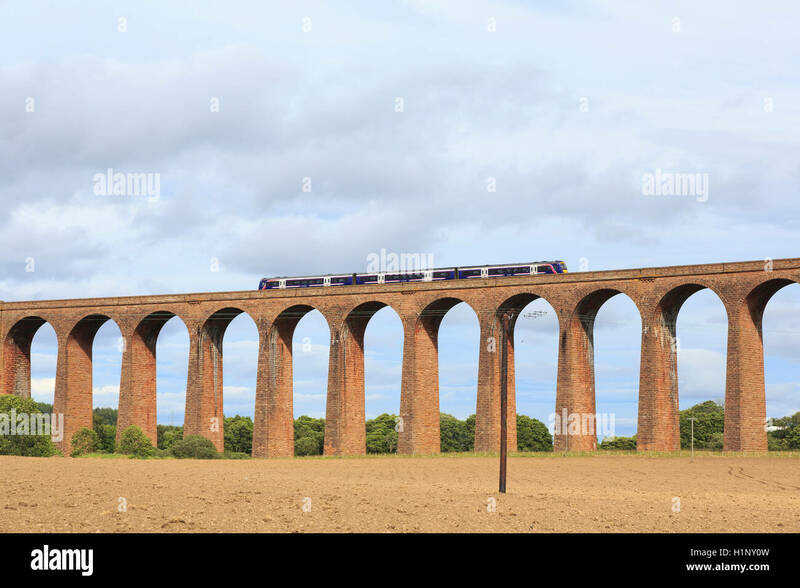 Ferryden Viaduct, near Montrose, Scotland, with a Scotrail diesel multiple unit crossing. 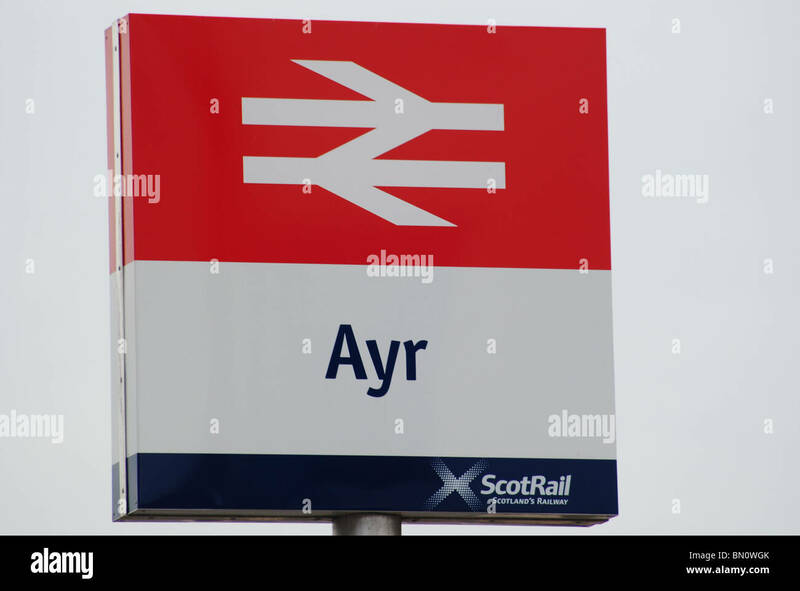 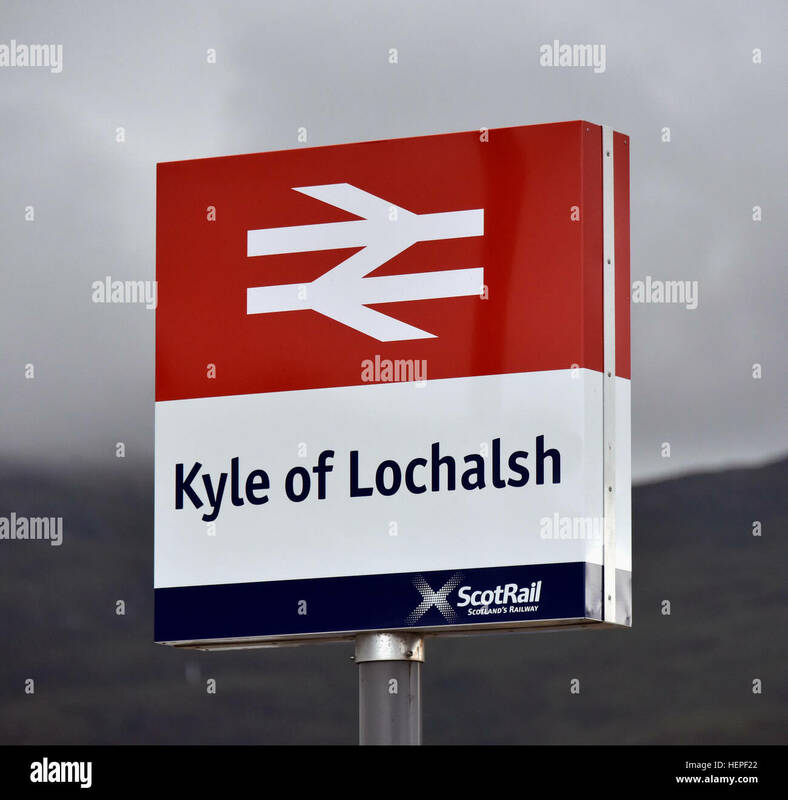 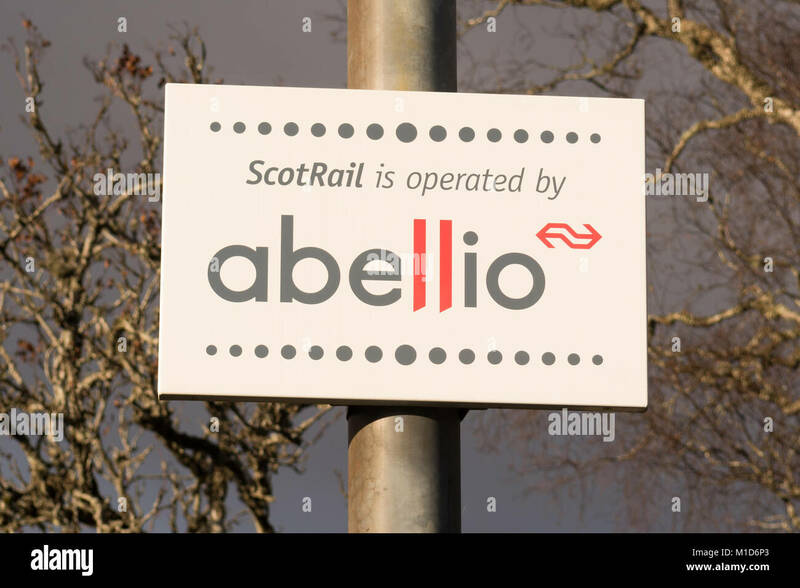 Kyle of Lochalsh Scotrail station sign. 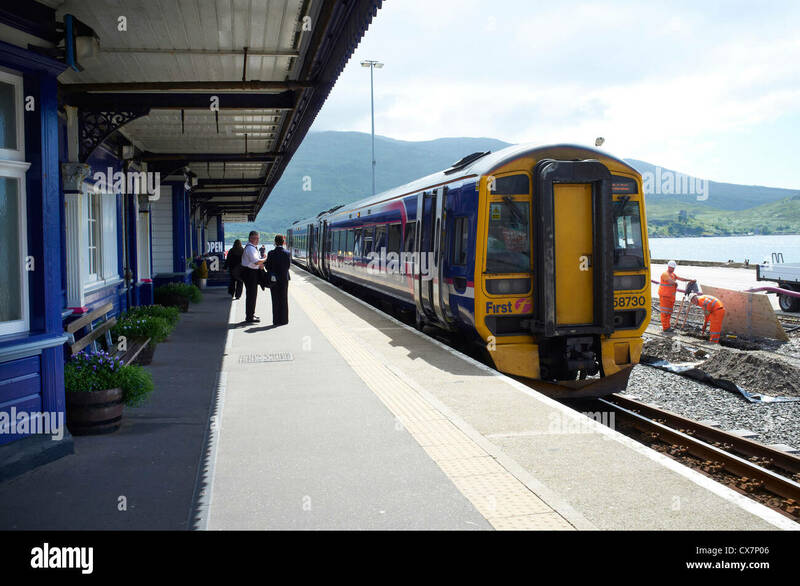 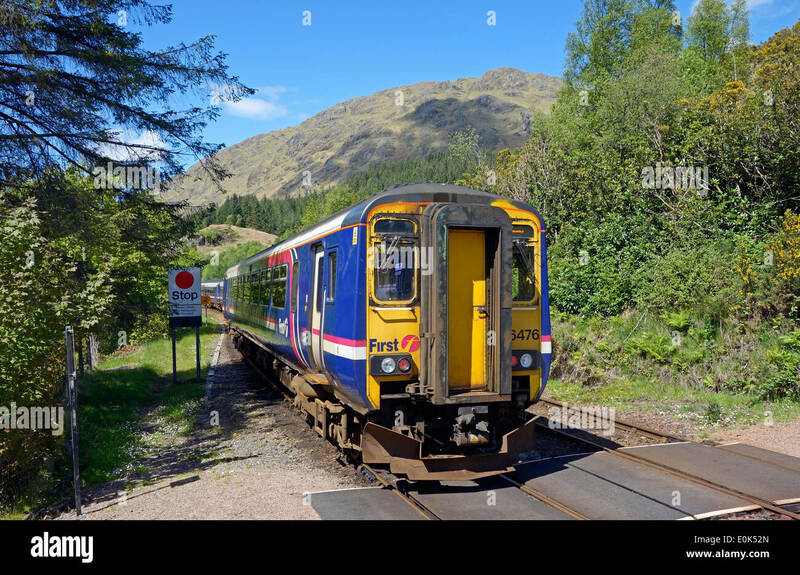 A Scotrail Class158 diesel multiple unit passenger train on the Kyle of Lochalsh railway line at Attadale, beside Loch Carron. 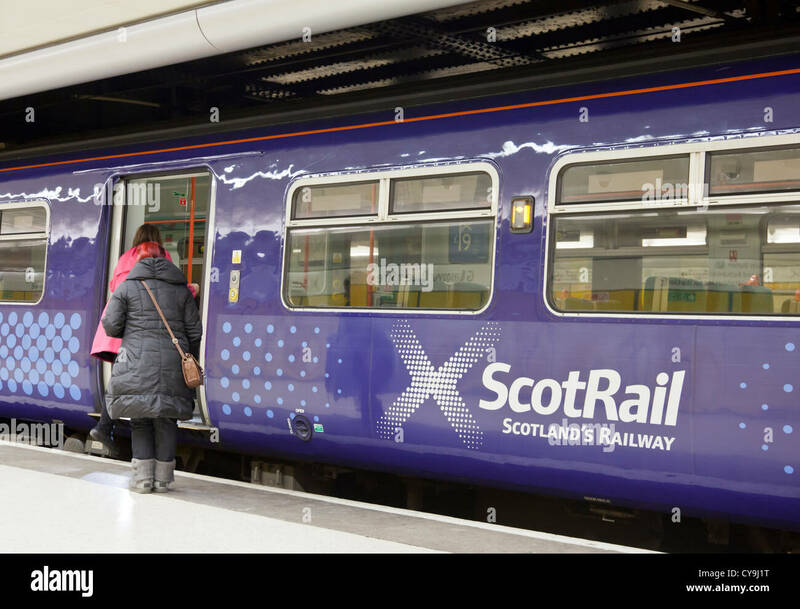 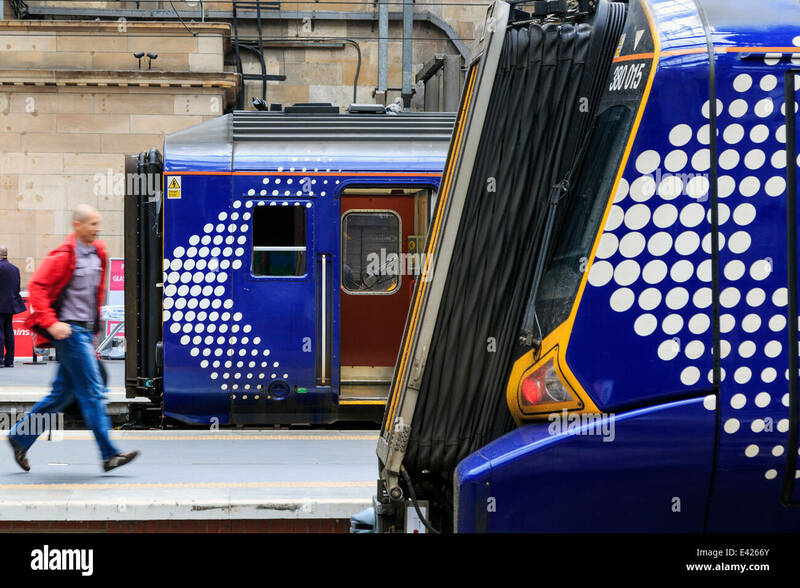 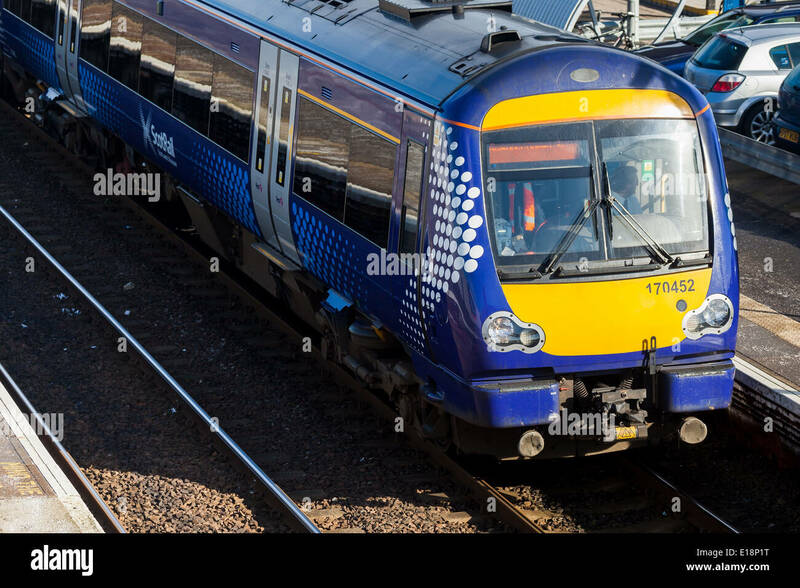 ScotRail logo on the side of a carriage, Scotland's Railway. 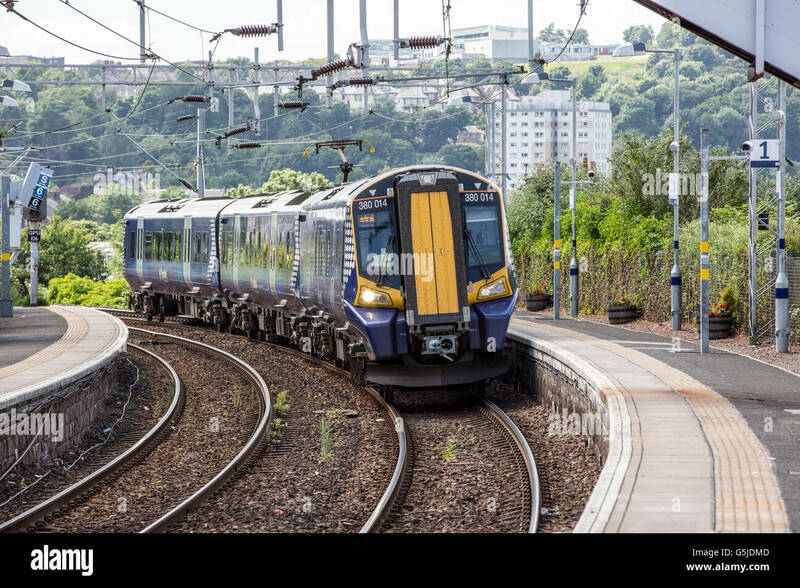 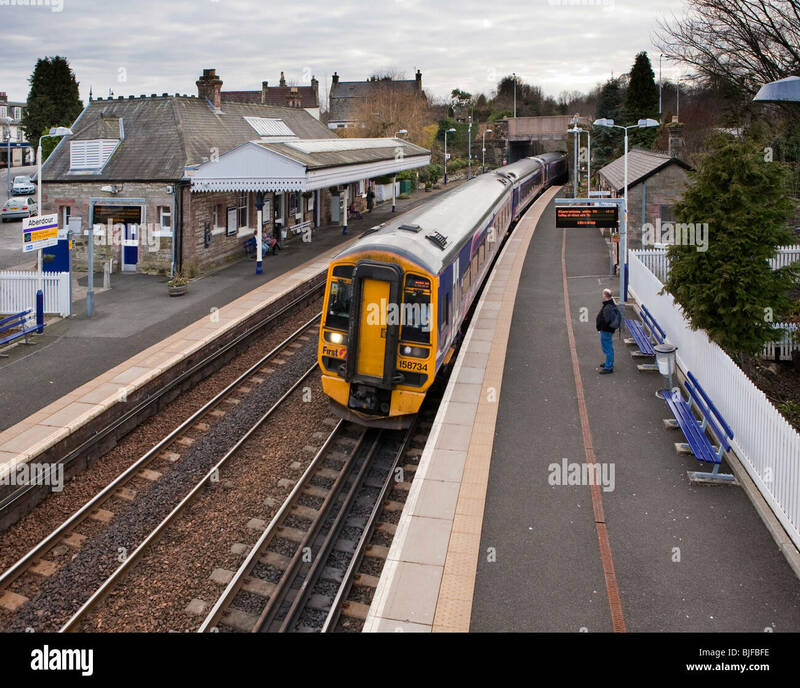 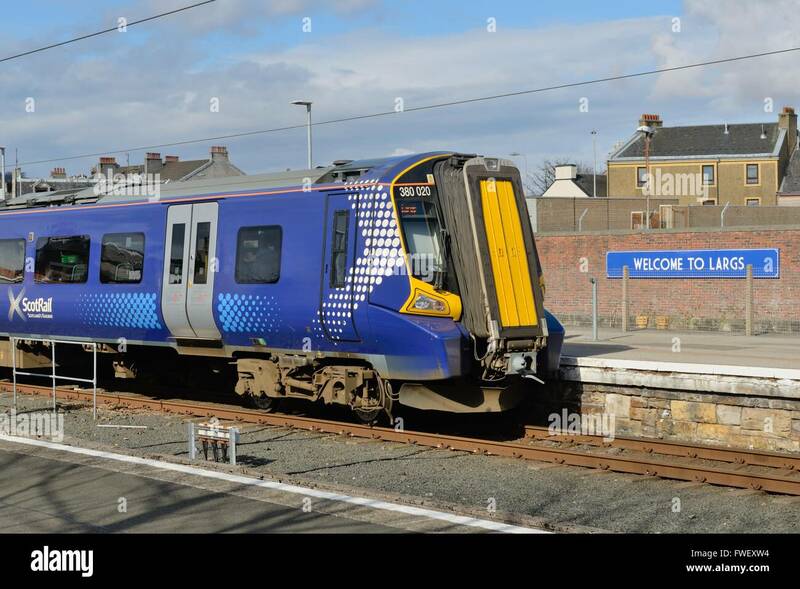 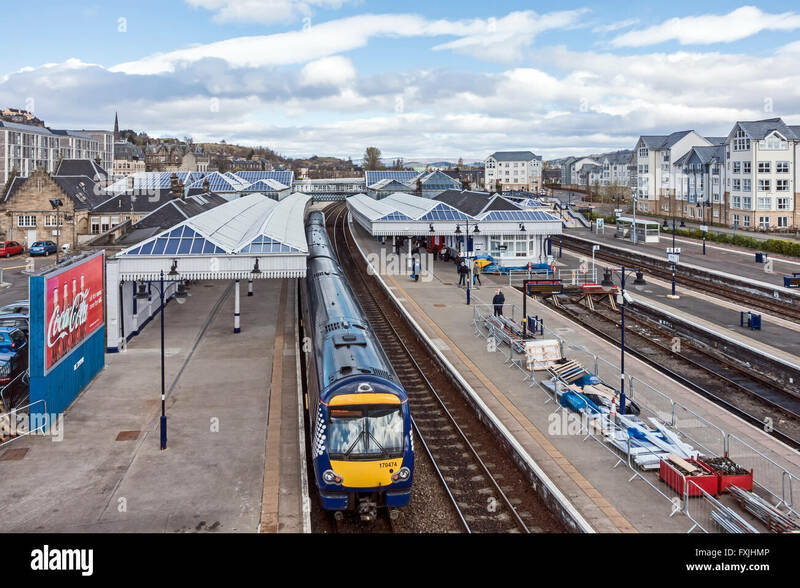 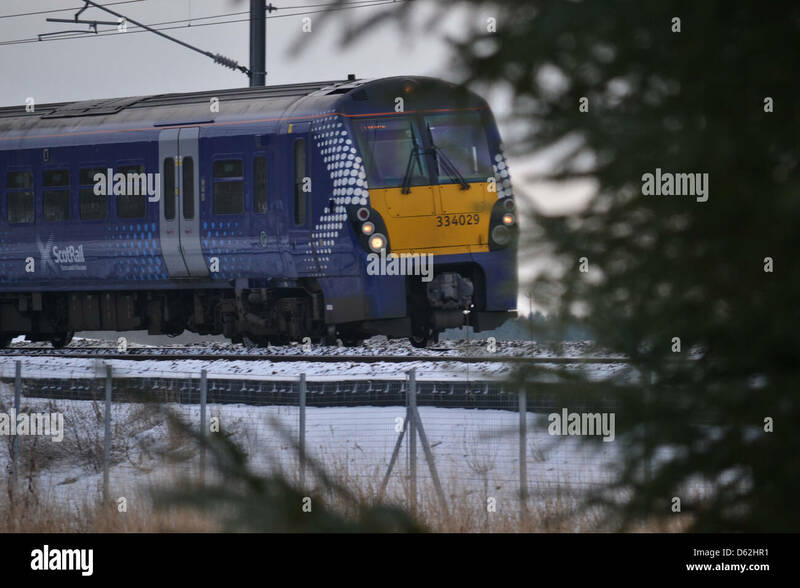 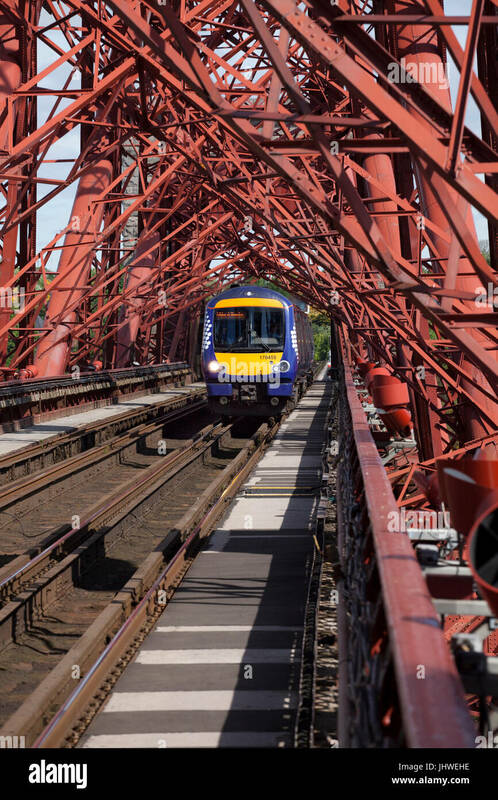 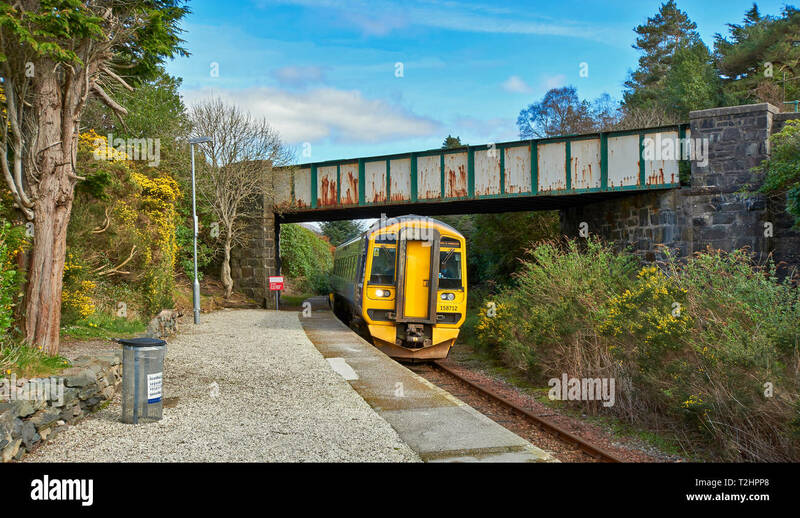 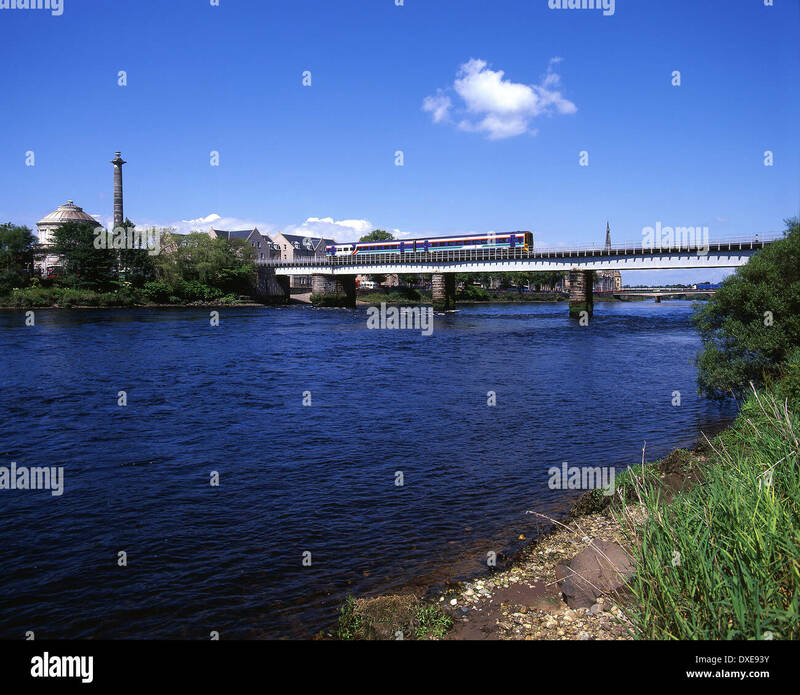 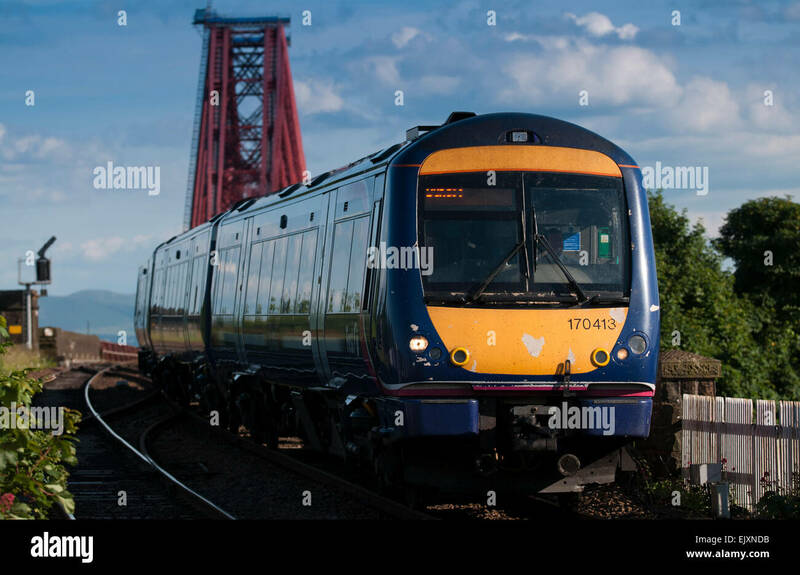 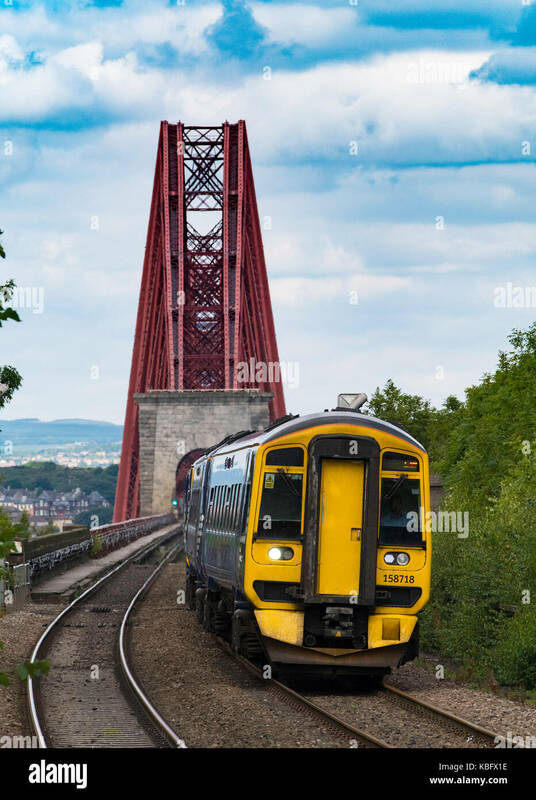 View of Scotrail passenger train approaching Dalmeny Station after crossing Forth Railway Bridge in Lothian , Scotland, United Kingdom. 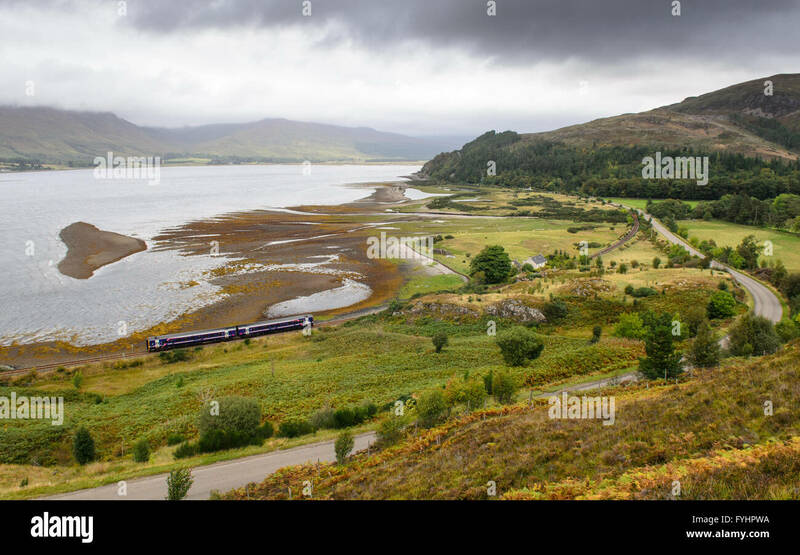 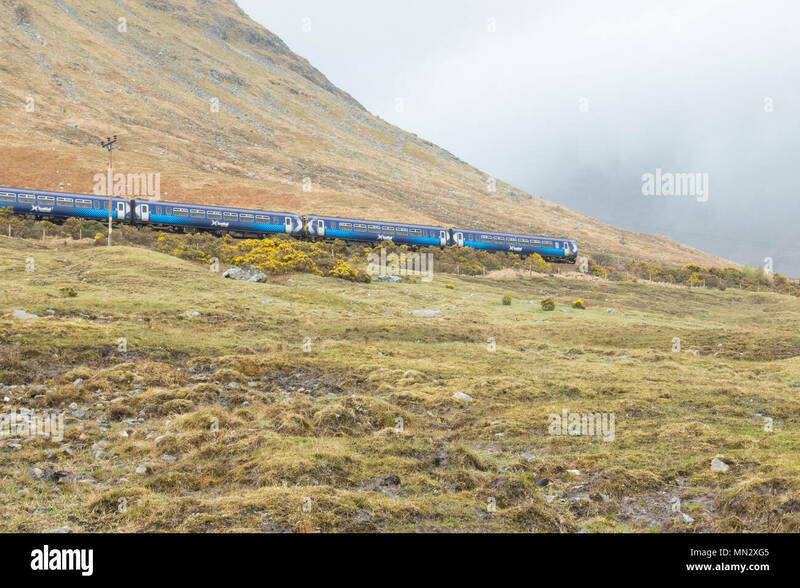 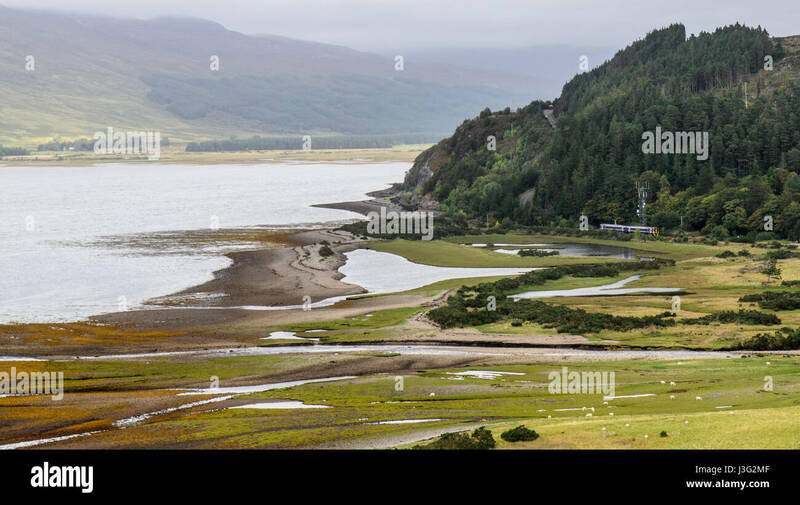 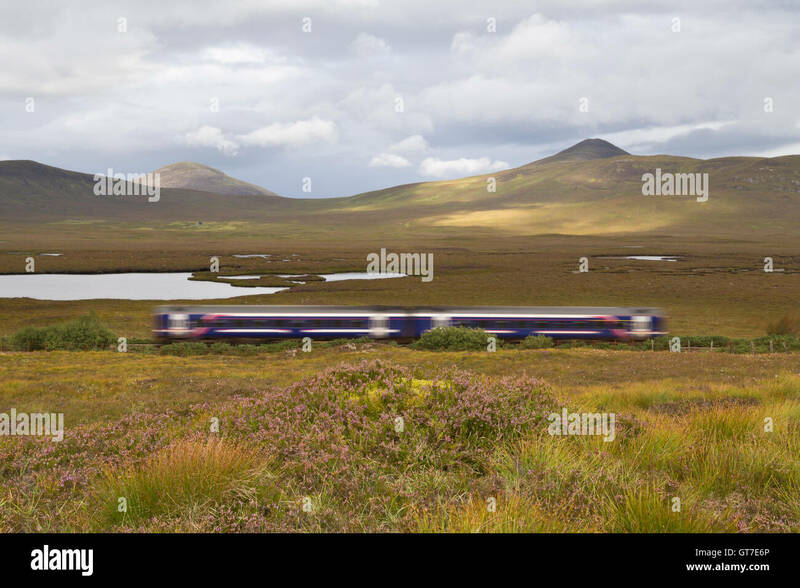 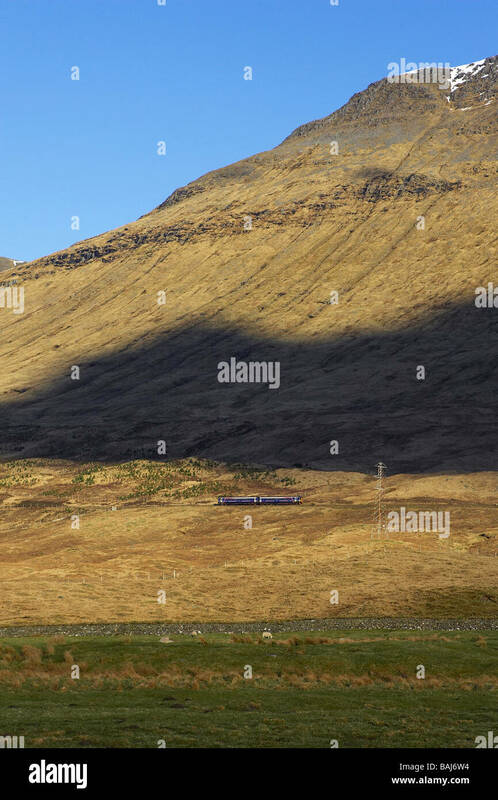 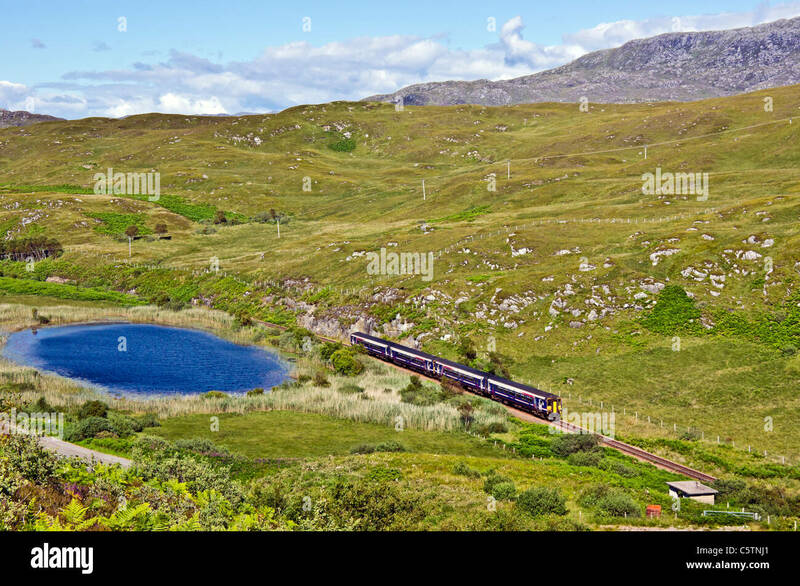 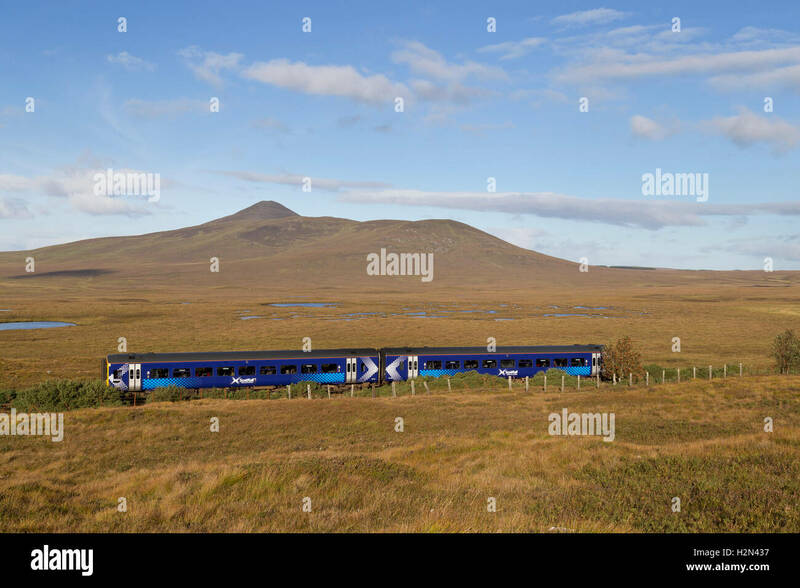 A Scotrail passenger train crosses the glacial delta estuary of the River Attadale on the Kyle of Lochalsh railway line in the Highlands of Scotland. 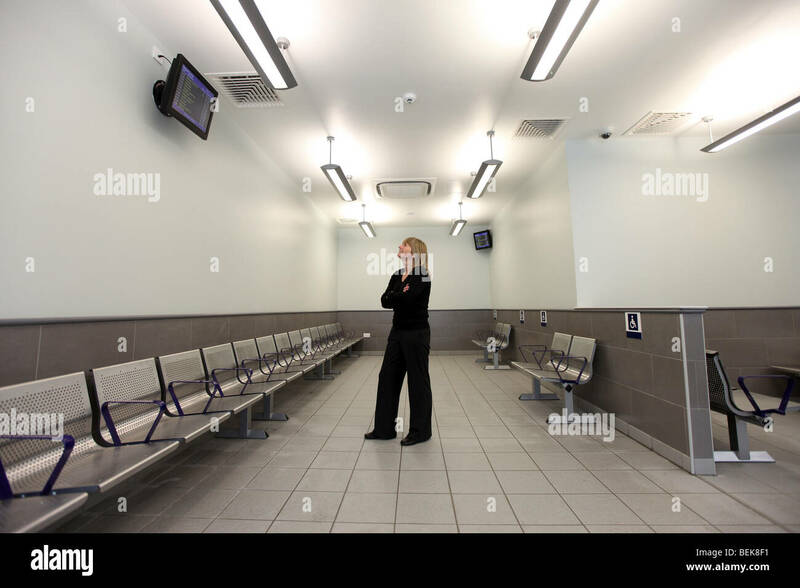 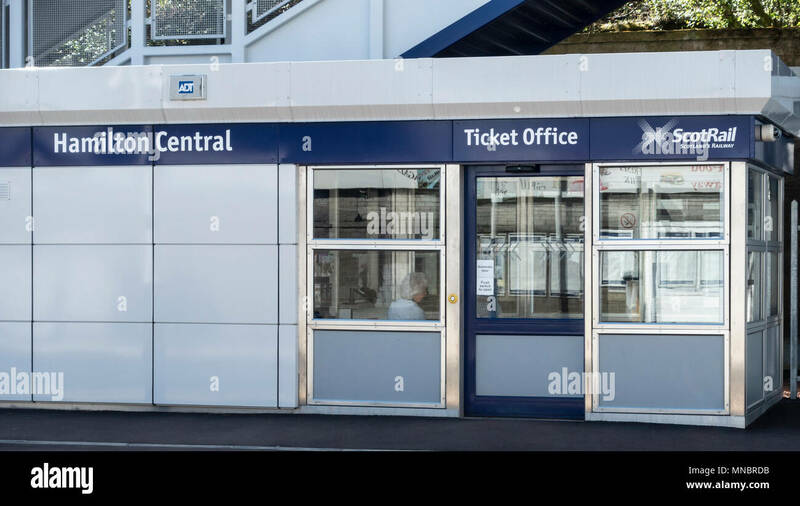 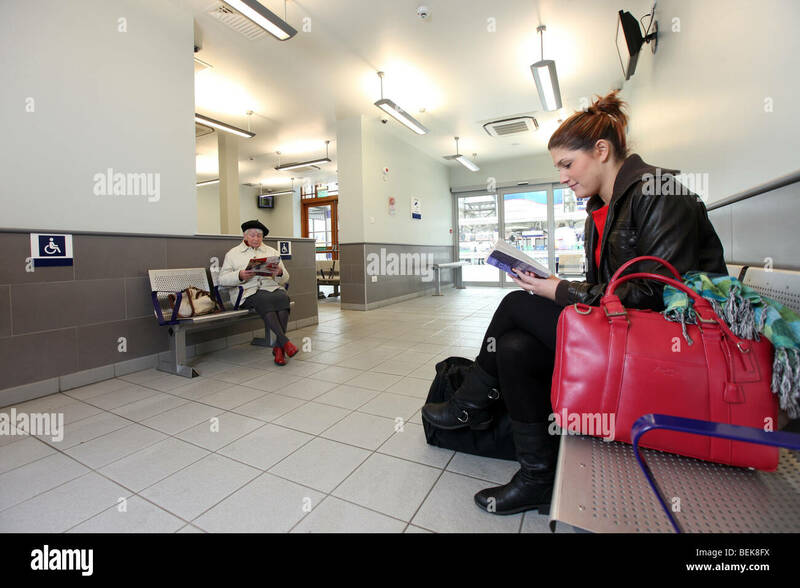 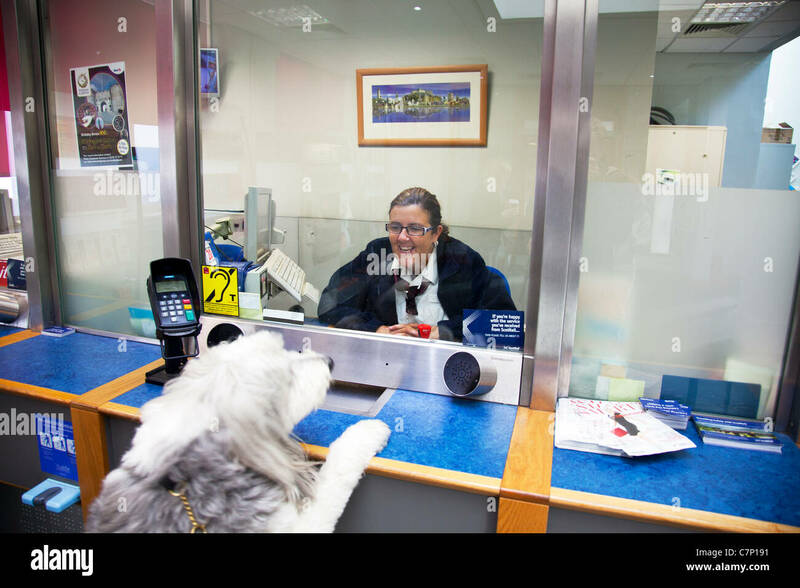 ScotRail Ticket Office at Hamilton Central railway station in South Lanarkshire, Scotland, UK.